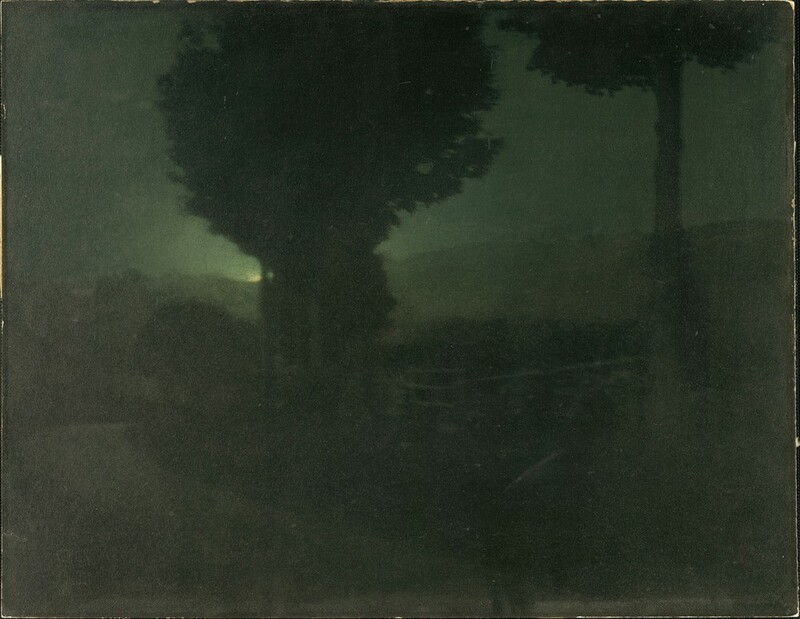 At the start of World War I, in 1914, Edward Steichen was a pioneering champion of fine-art photography—he had a leading reputation in the Photo-Secession movement in New York and had cofounded its trailblazing journal Camera Work. 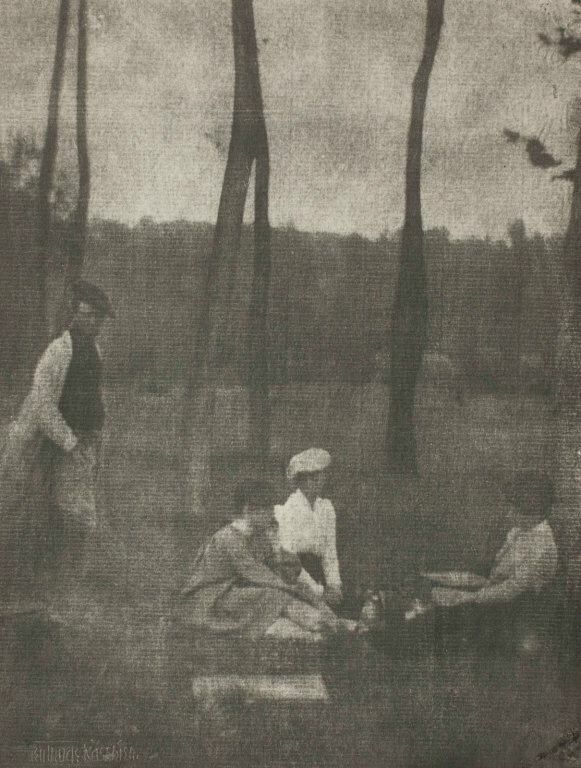 Yet by the early 1920s, Steichen had rejected the soft-focus, dreamy landscapes and portraits of his early years in favor of realist photographs made for informational purposes or popular consumption. 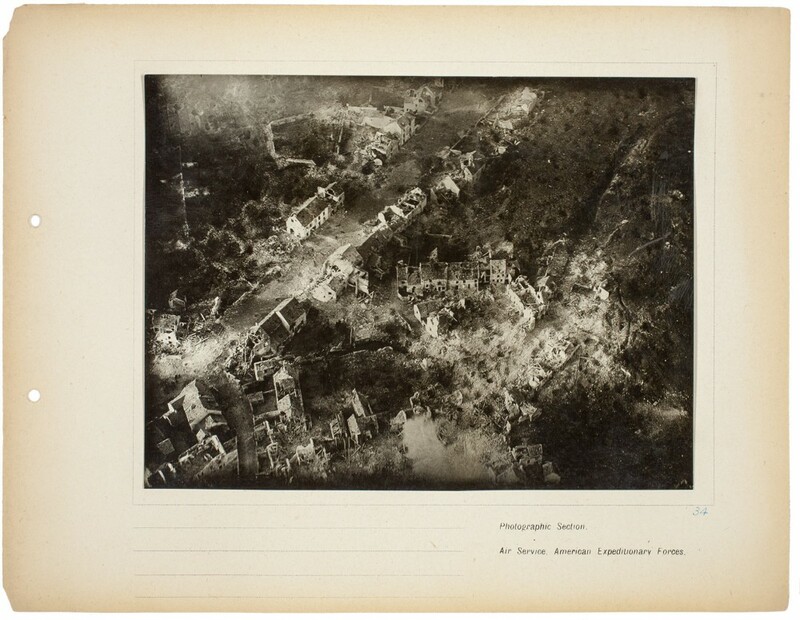 This turning point was first signaled by Steichen’s role in World War I as chief of the Photographic Section of the American Expeditionary Forces and was fully realized in his subsequent work as lead photographer at Condé Nast Publications, from 1923 to 1937. 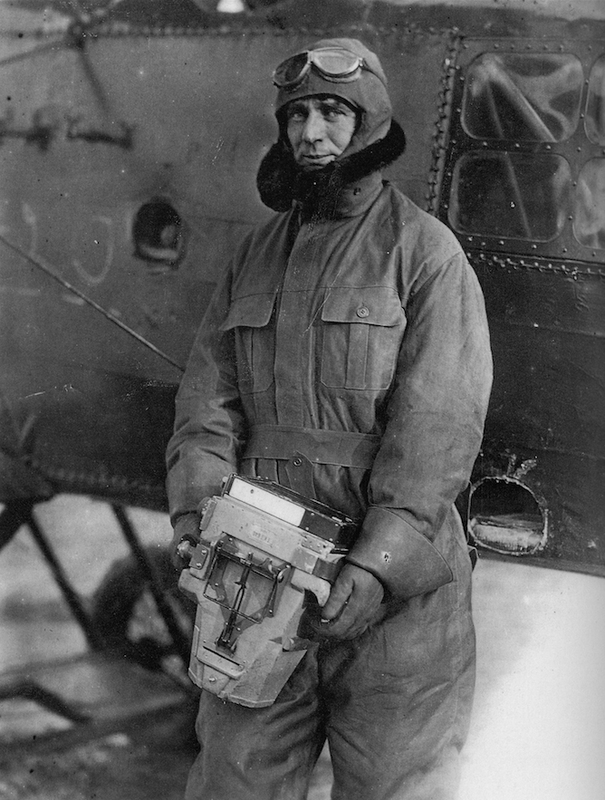 Steichen, who had come to regard France as a second homeland, was quick to enlist once the U.S. officially entered the war in 1917. 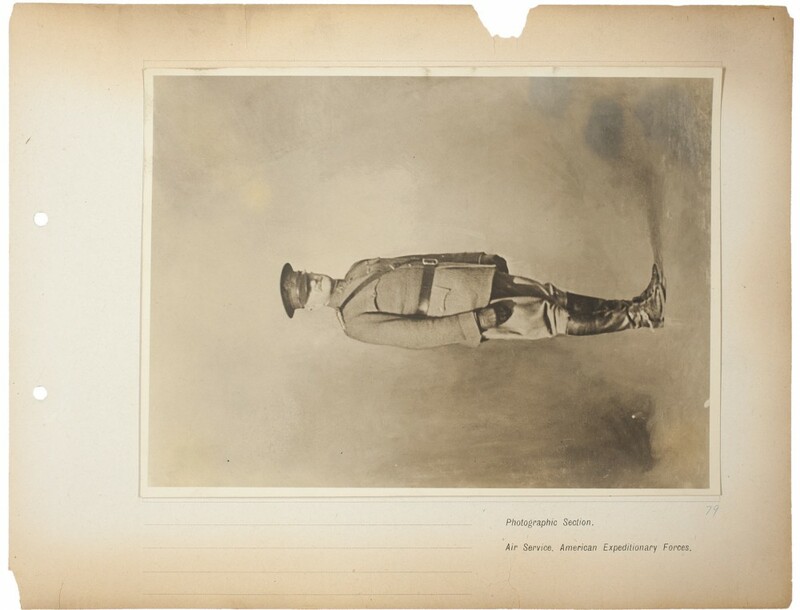 Though at 38 he was eight years older than the age limit set by the Signal Corps, his experience as a photographer made him a valuable recruit, and he entered active duty in July 1917 as a first lieutenant. 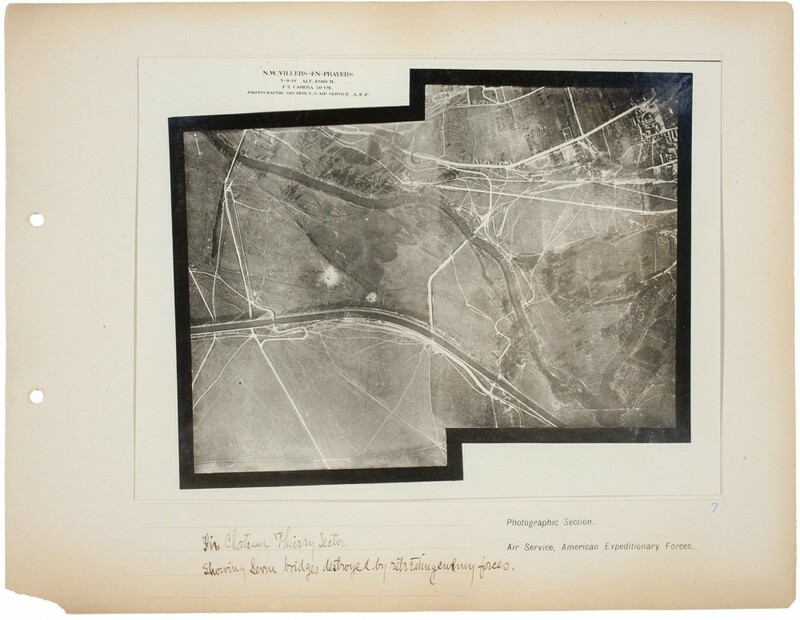 The First World War, sometimes called the first “modern” war, was marked by groundbreaking advances in technology, including photography. 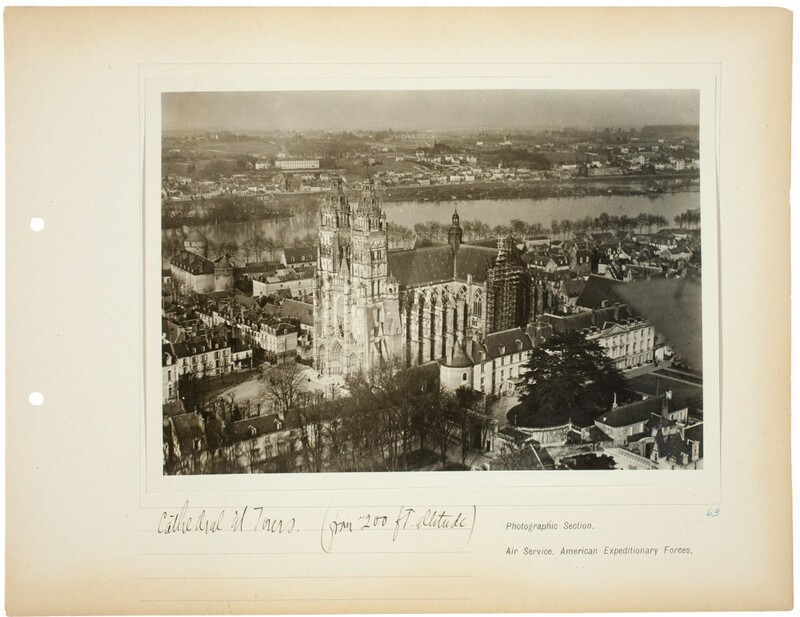 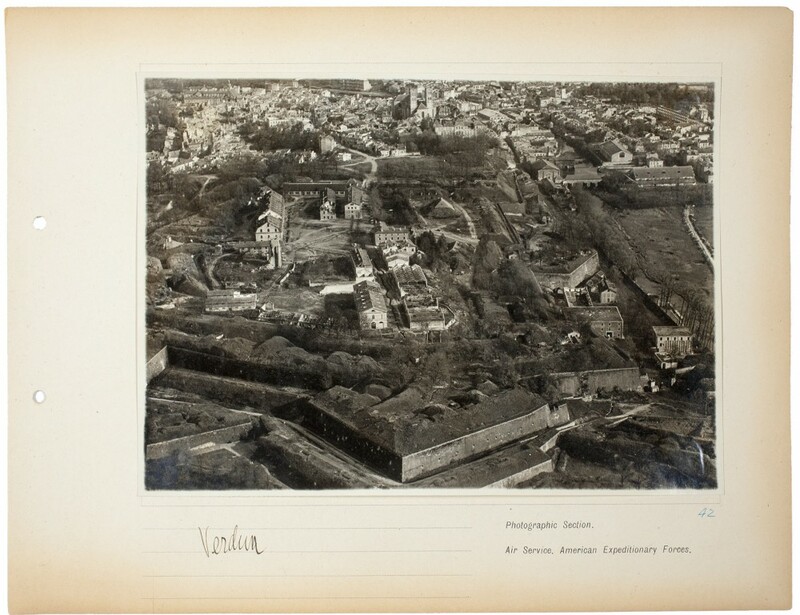 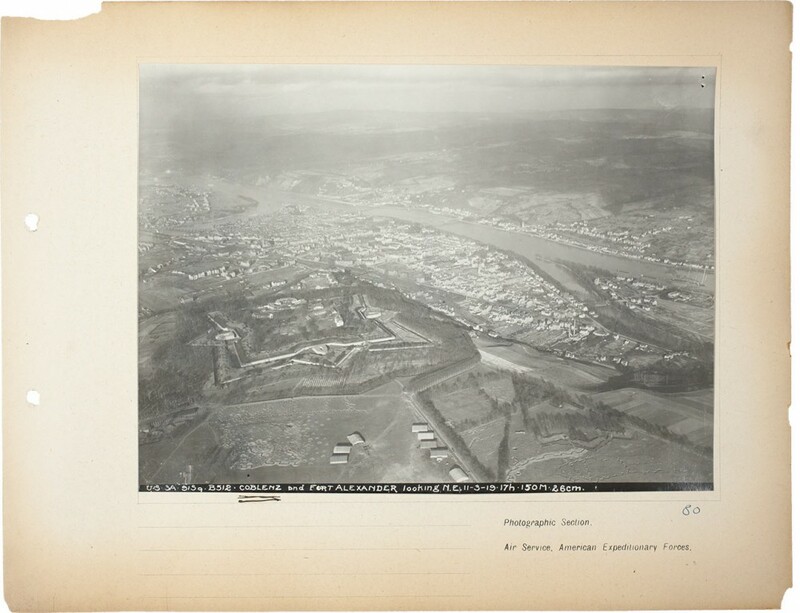 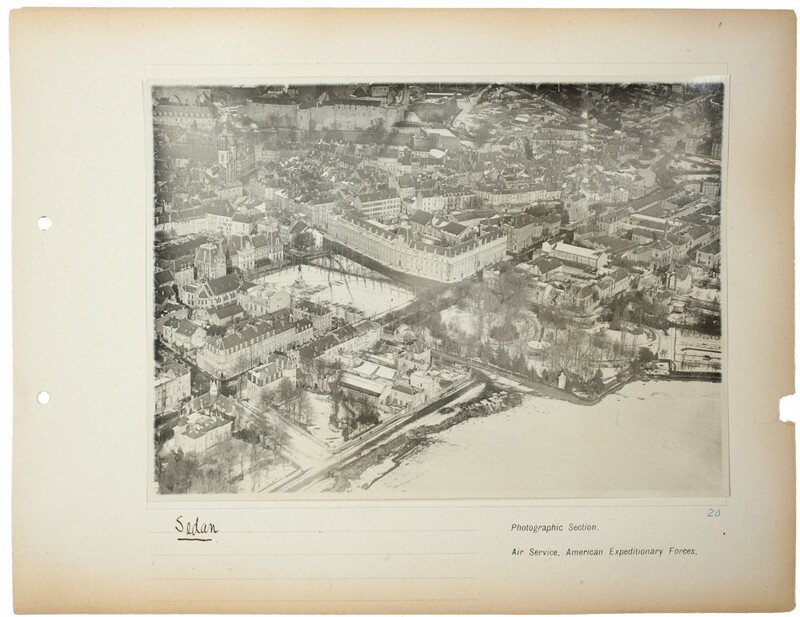 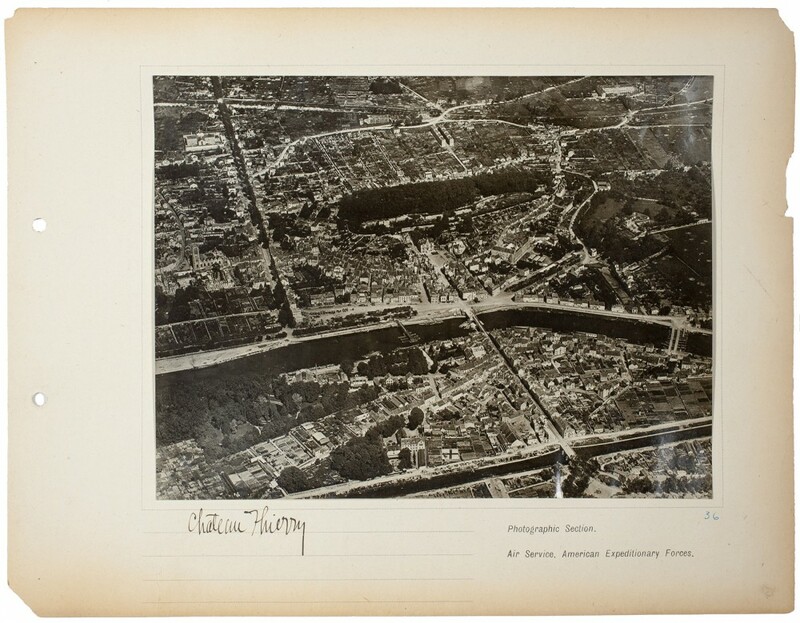 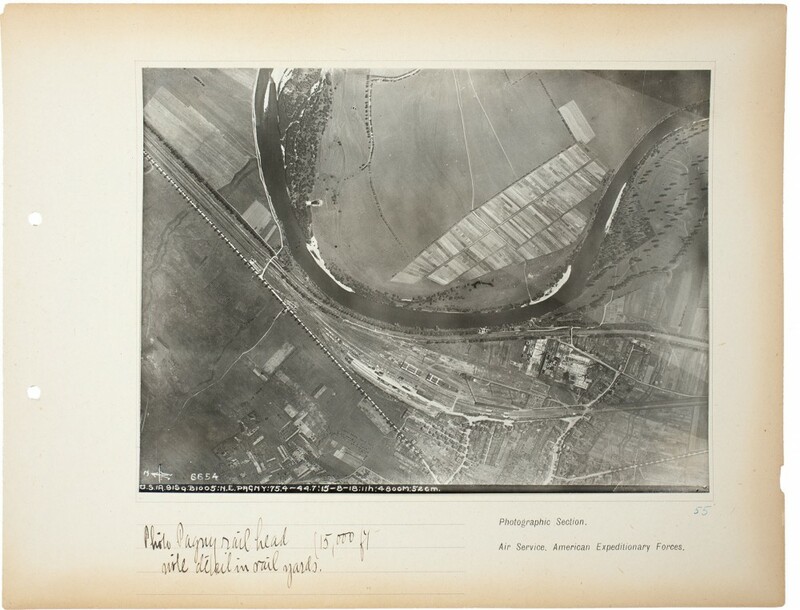 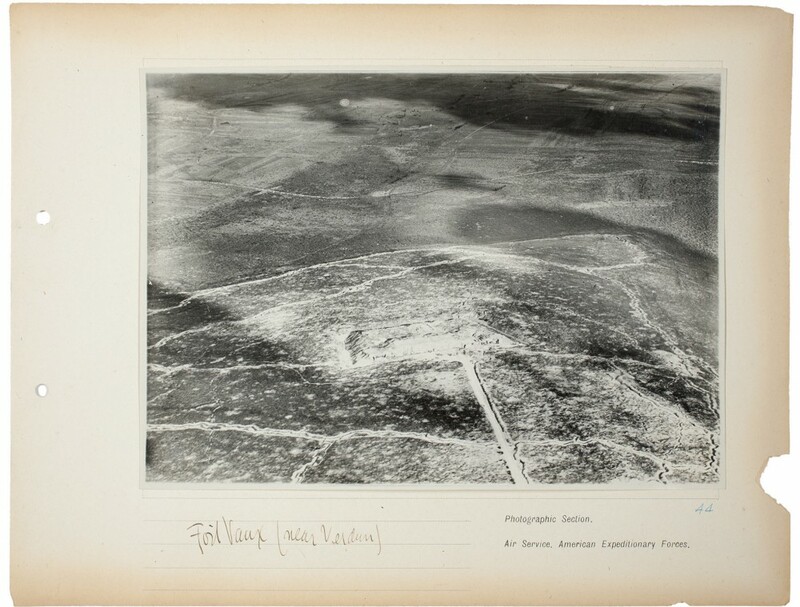 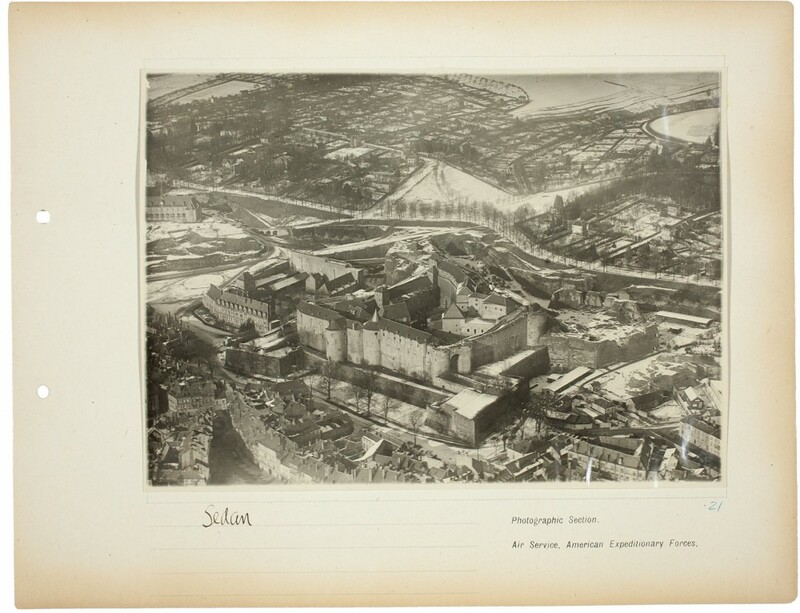 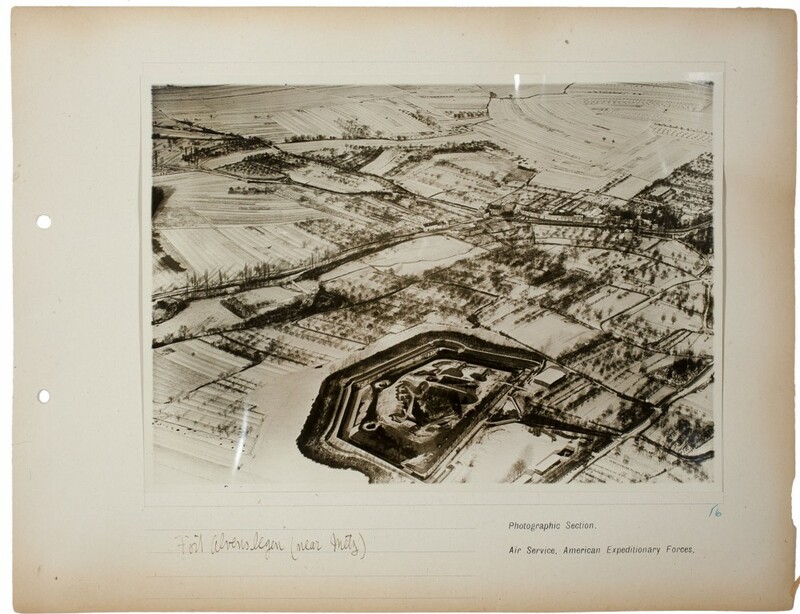 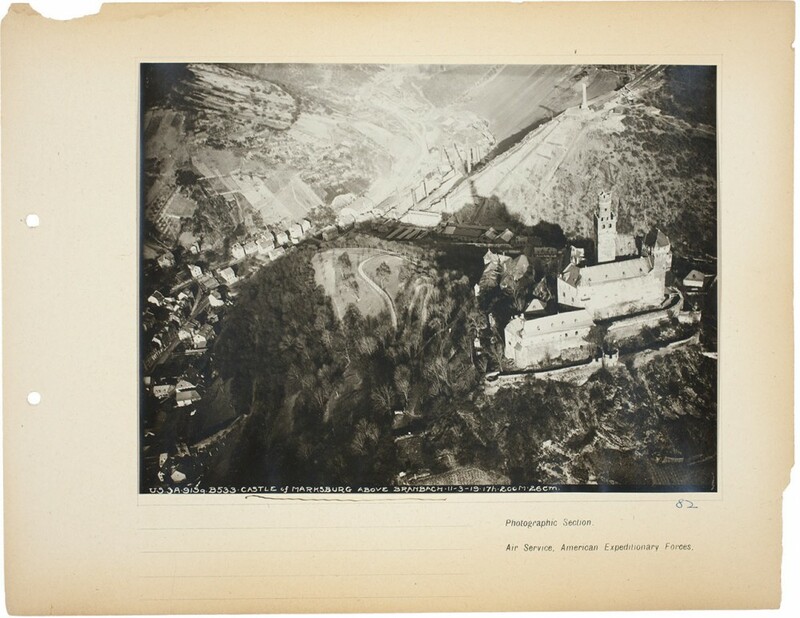 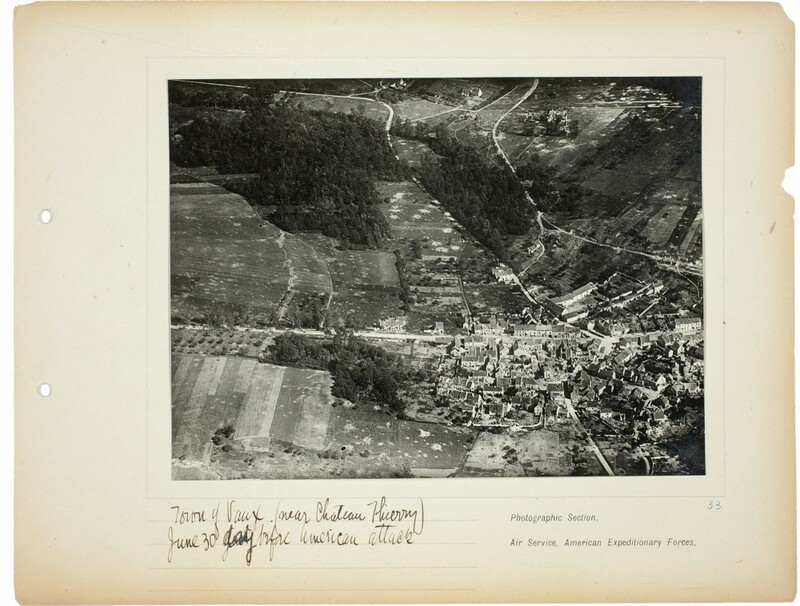 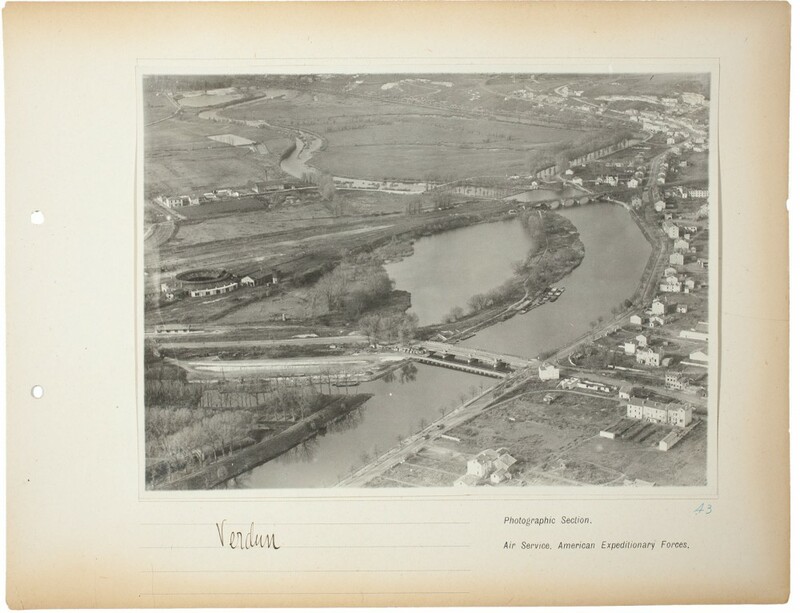 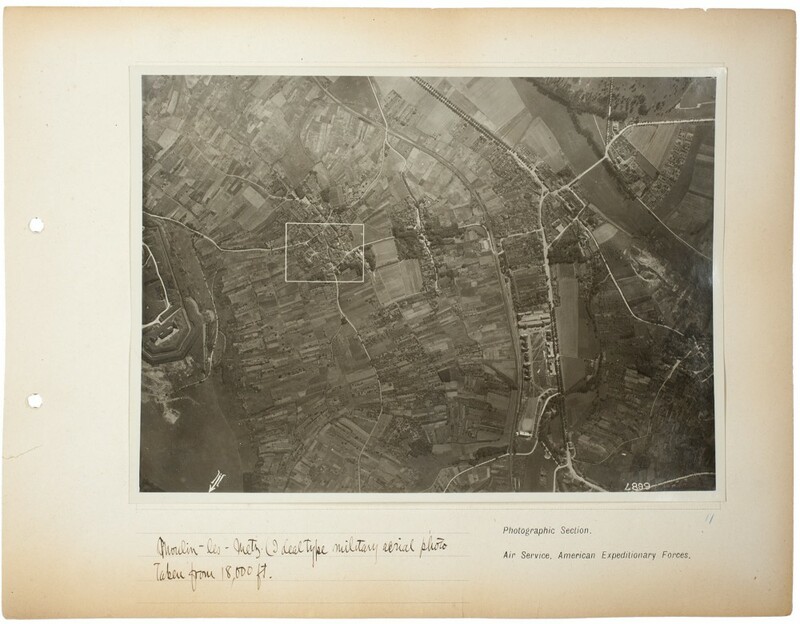 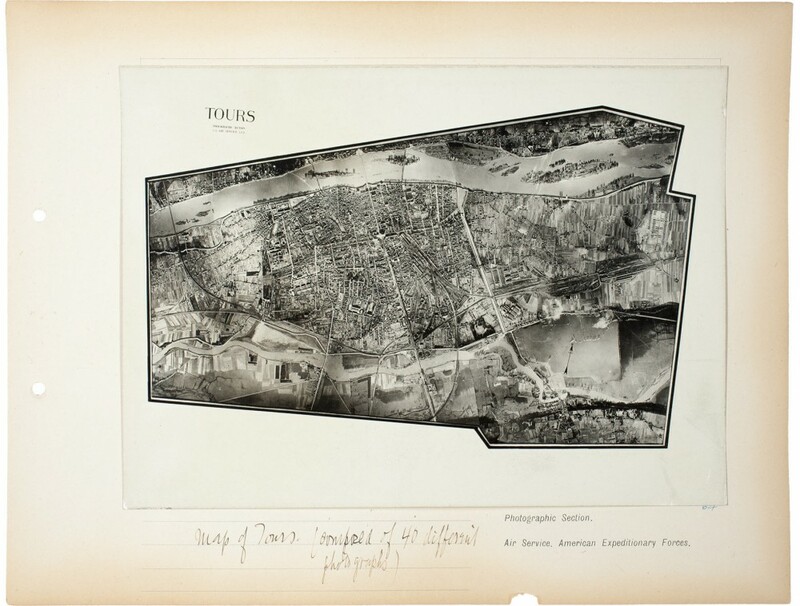 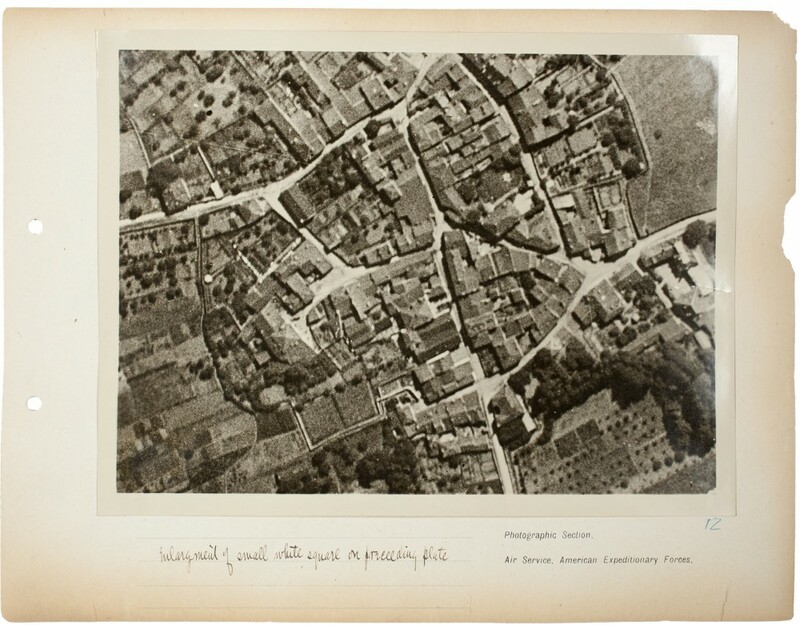 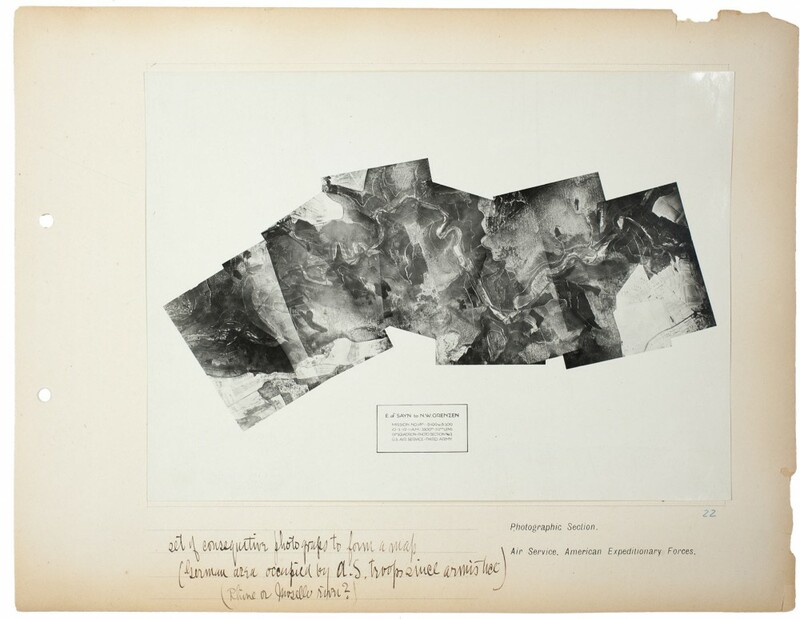 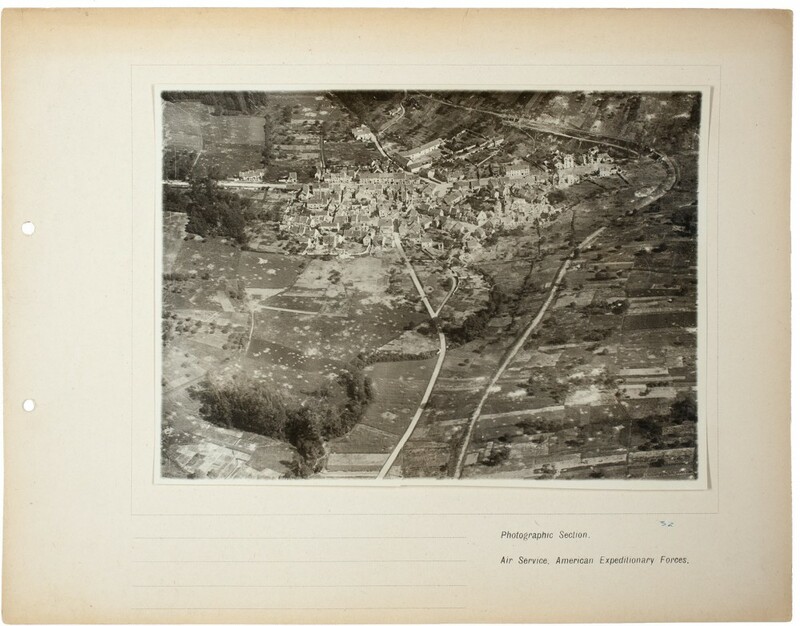 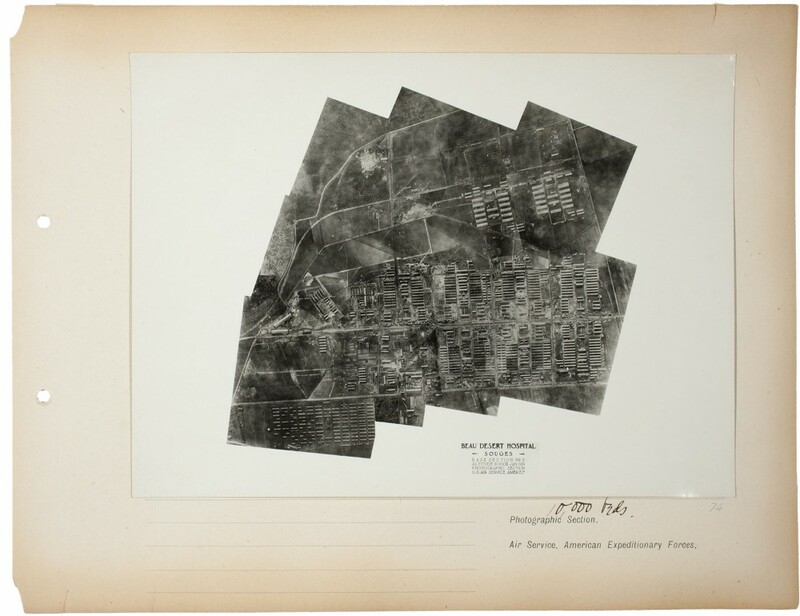 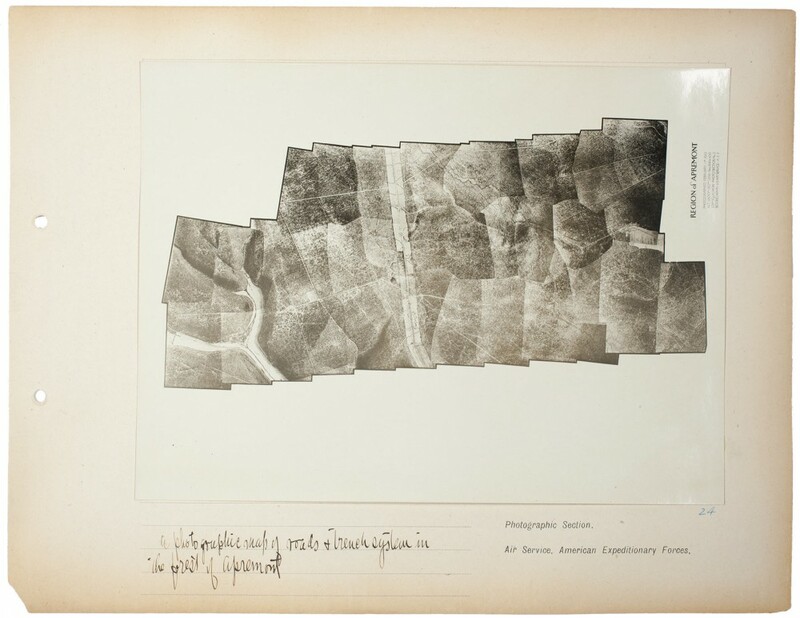 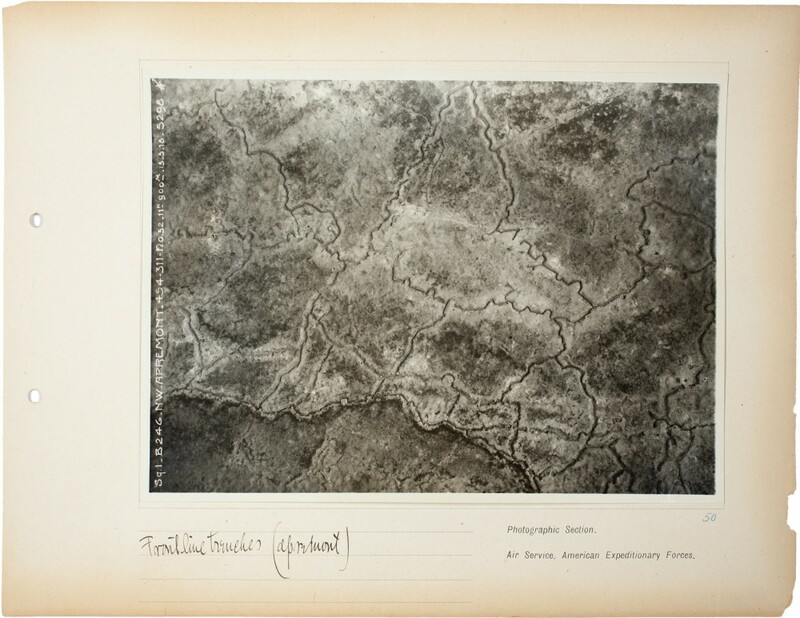 Though Steichen intended to be “a photographic reporter, as Mathew Brady had been in the Civil War,” he quickly abandoned this romantic notion to help implement one of the newest weapons of war—aerial photography. 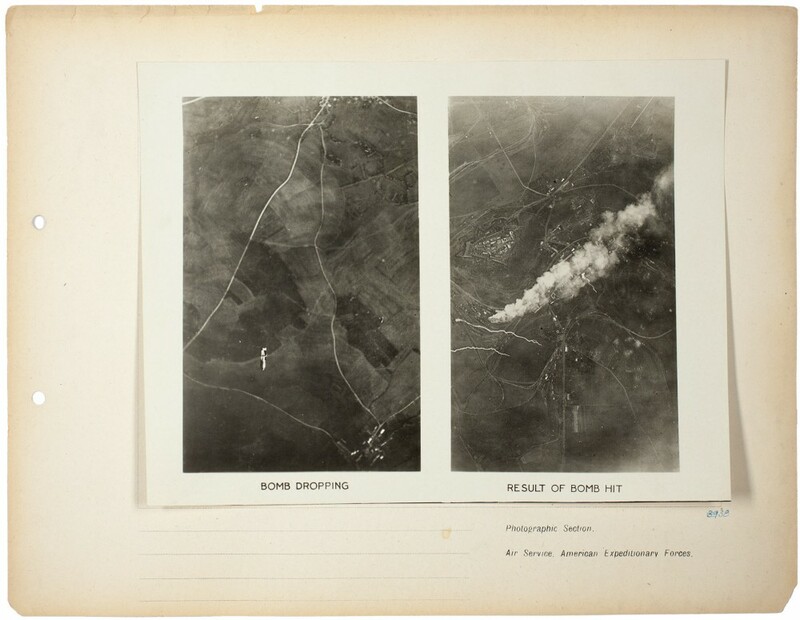 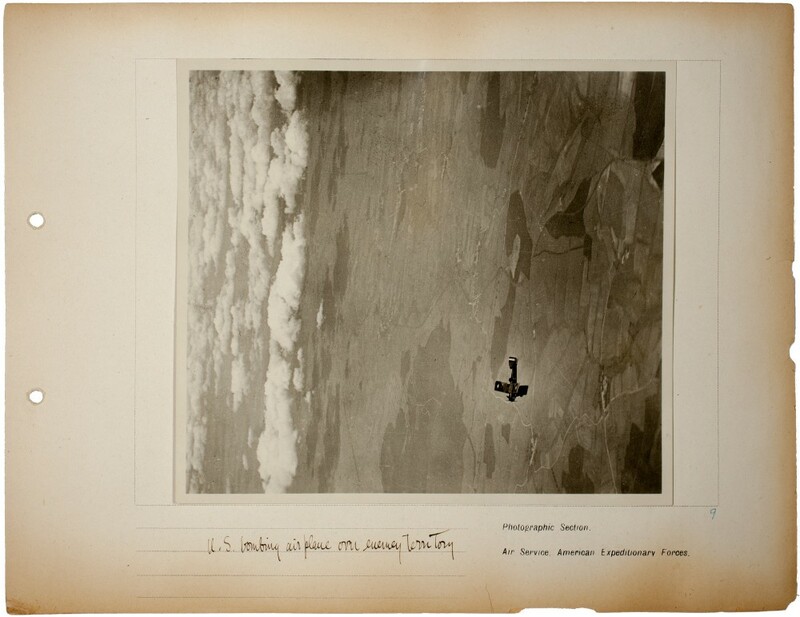 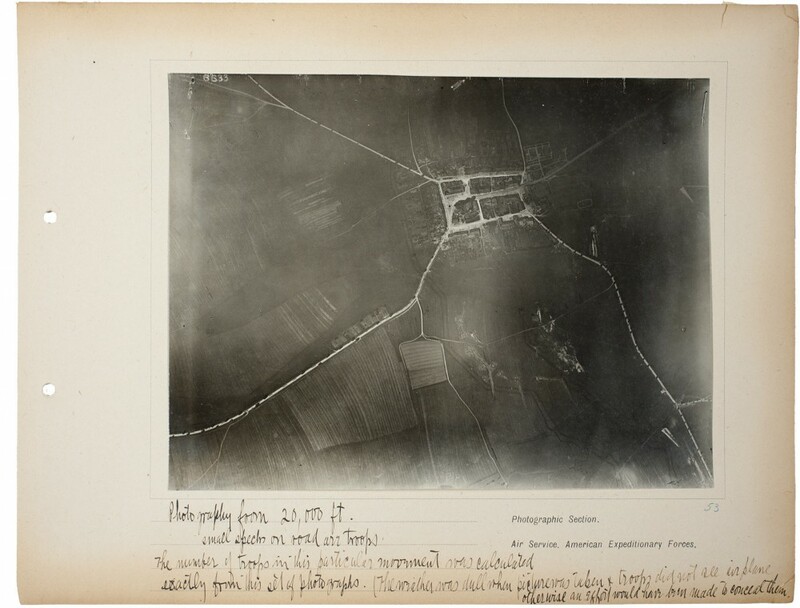 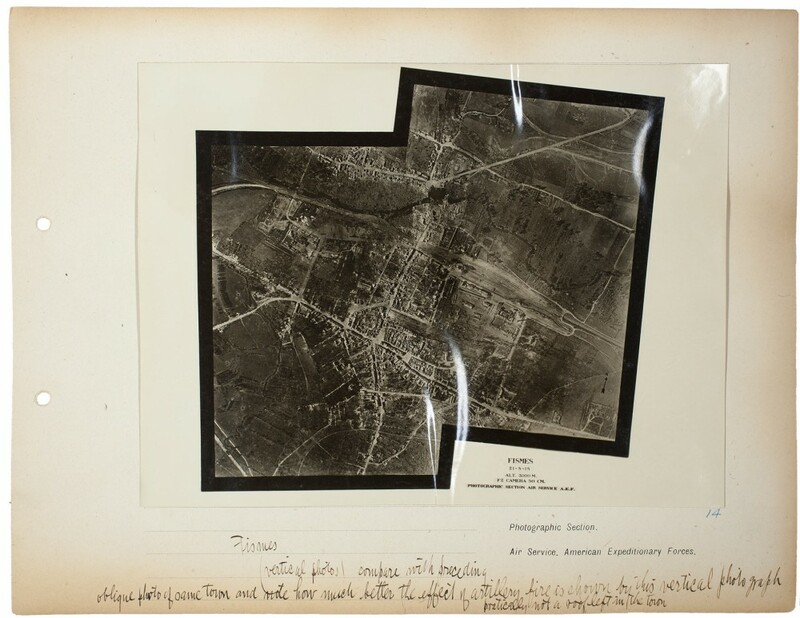 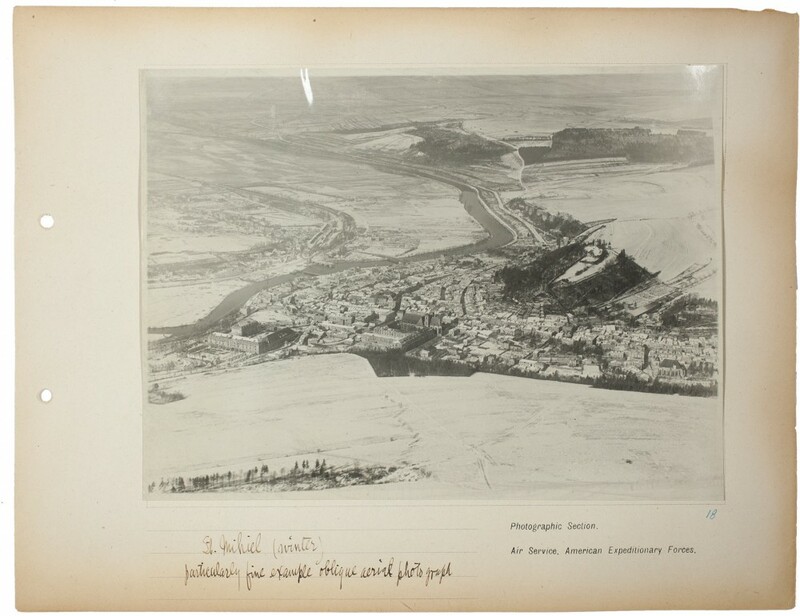 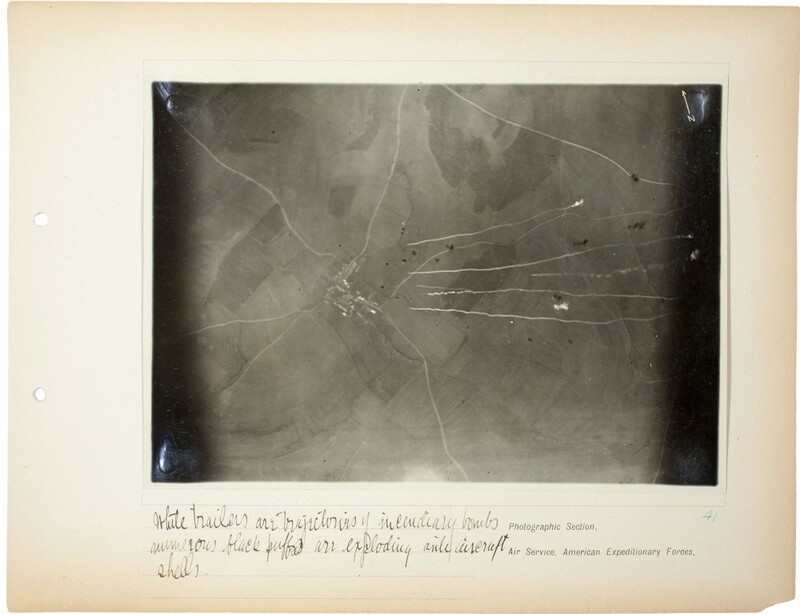 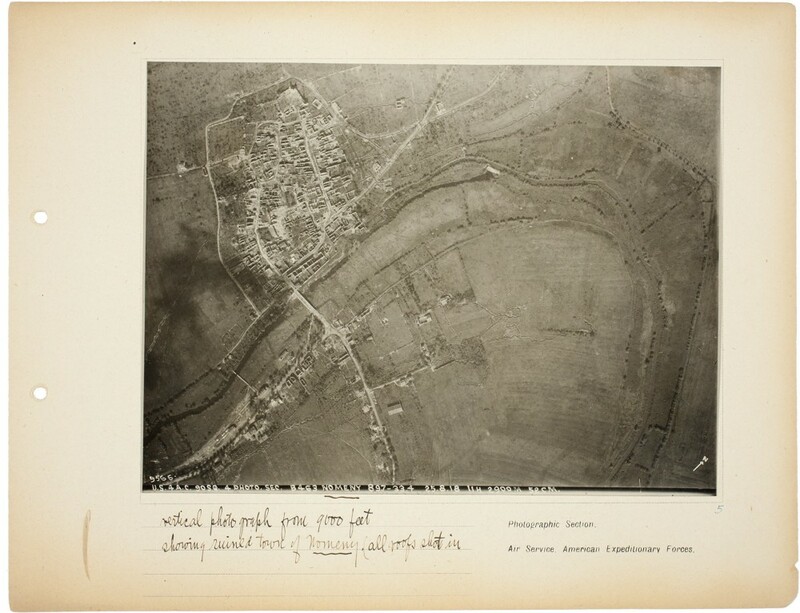 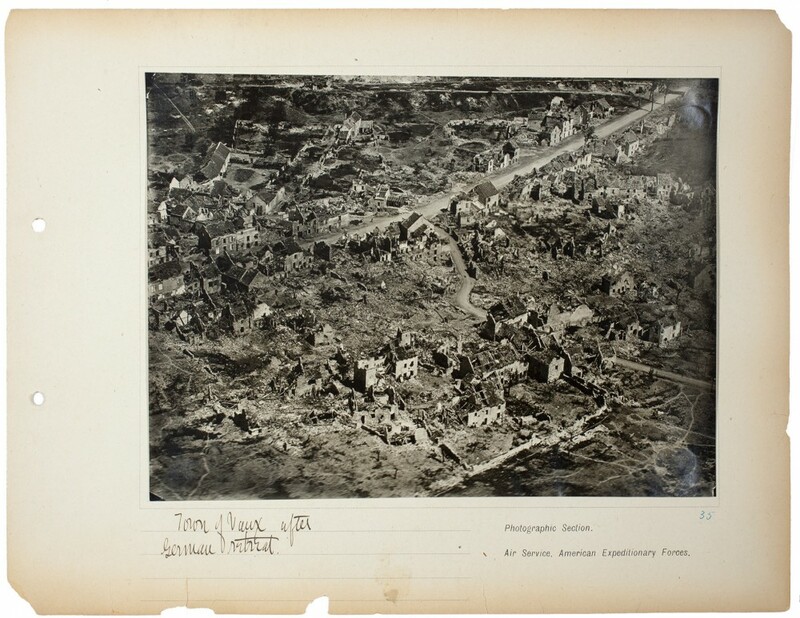 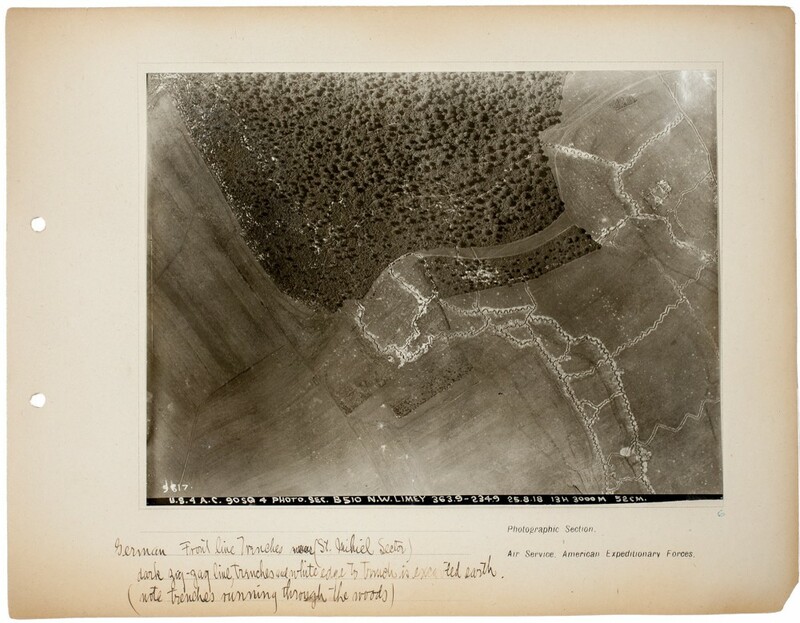 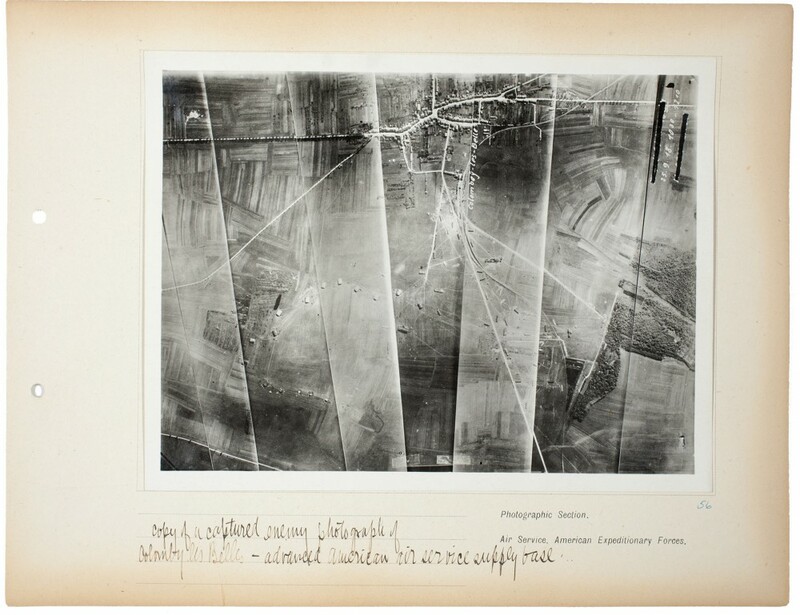 Taking images from airplanes made it possible not only to observe a wide swath of the battlefield, but also to track daily changes on the front lines. 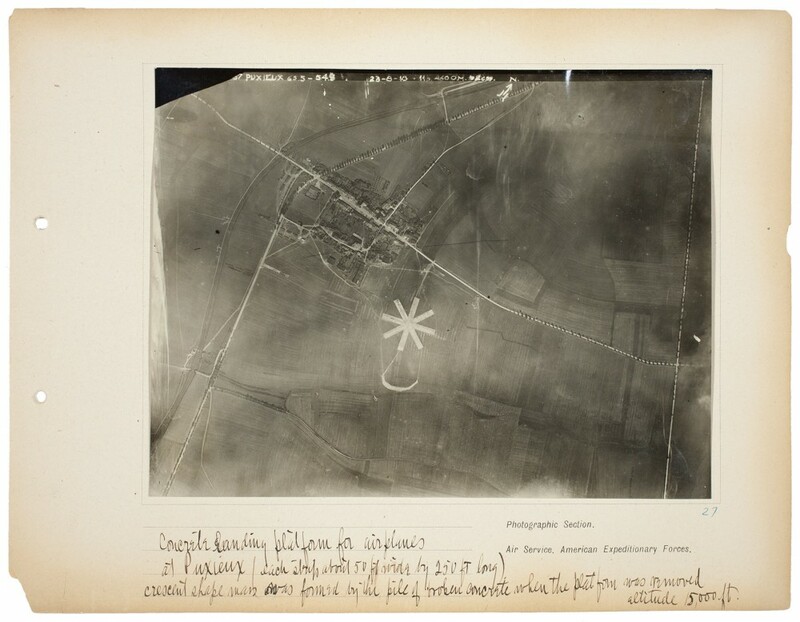 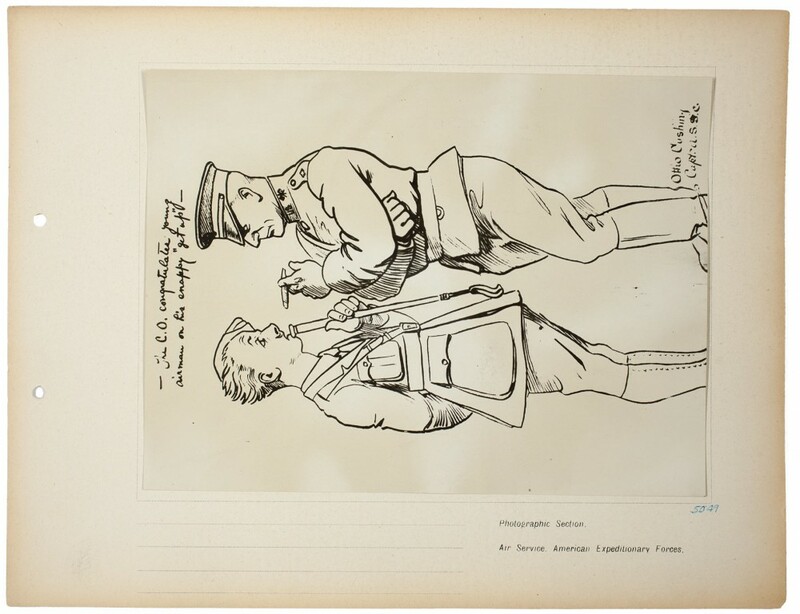 The French and British militaries had made great advances with this technology for intelligence purposes, yet the American Expeditionary Forces (AEF) had no established program. 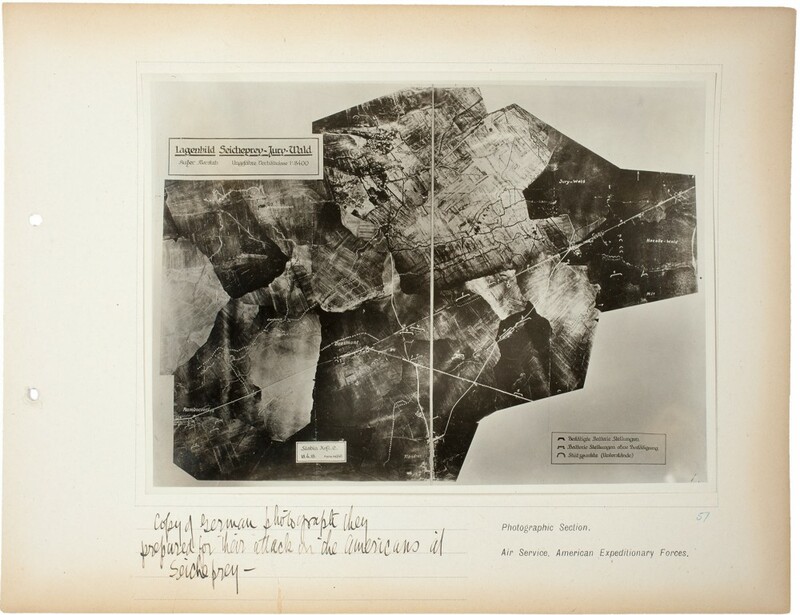 Steichen was assigned to the newly formed Photographic Section, led by Major James Barnes, and together they oversaw the training and outfitting of aerial-photography and surveillance units that would prove their usefulness over the course of the war. 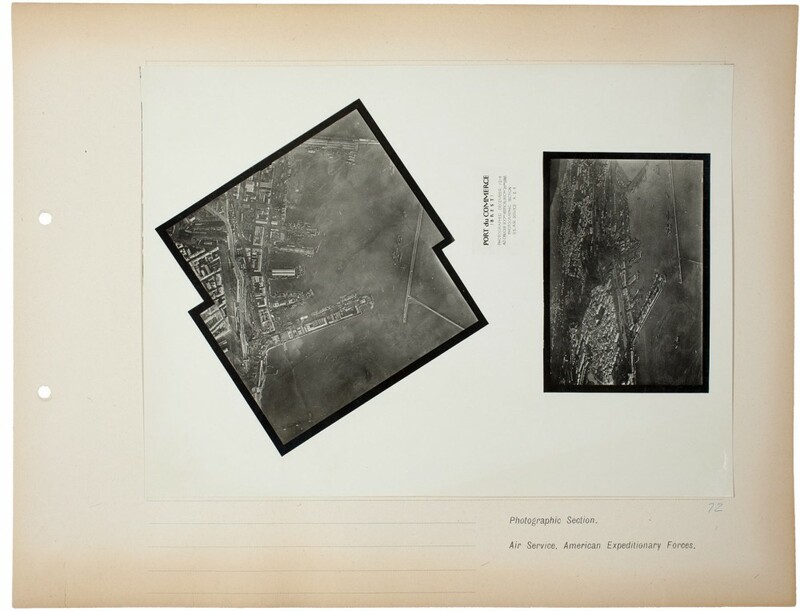 Steichen also worked to standardize print sizes, materials, cameras, and plates across the various national armies in order to simplify the cooperation between the Allied forces. 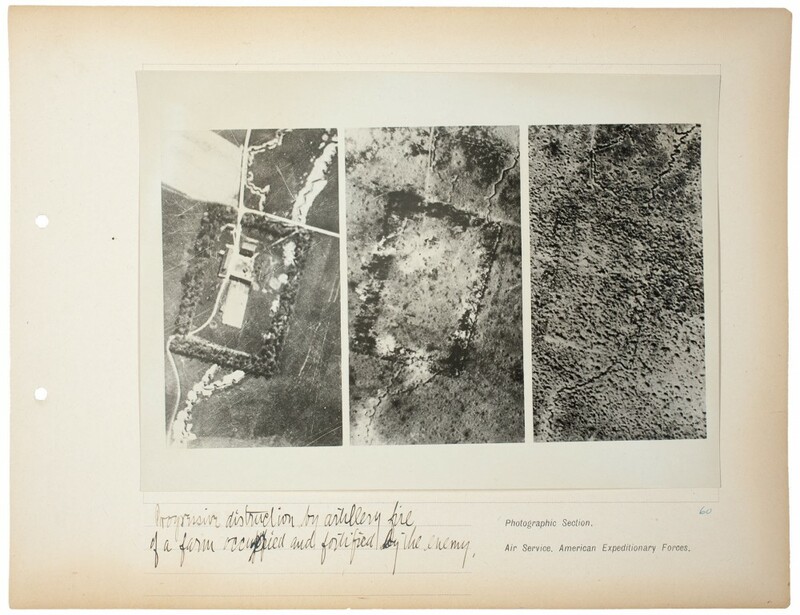 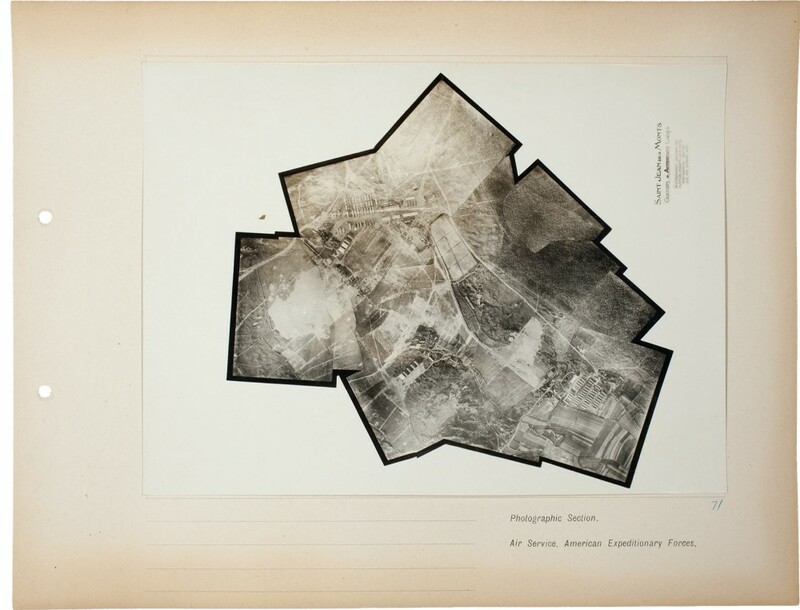 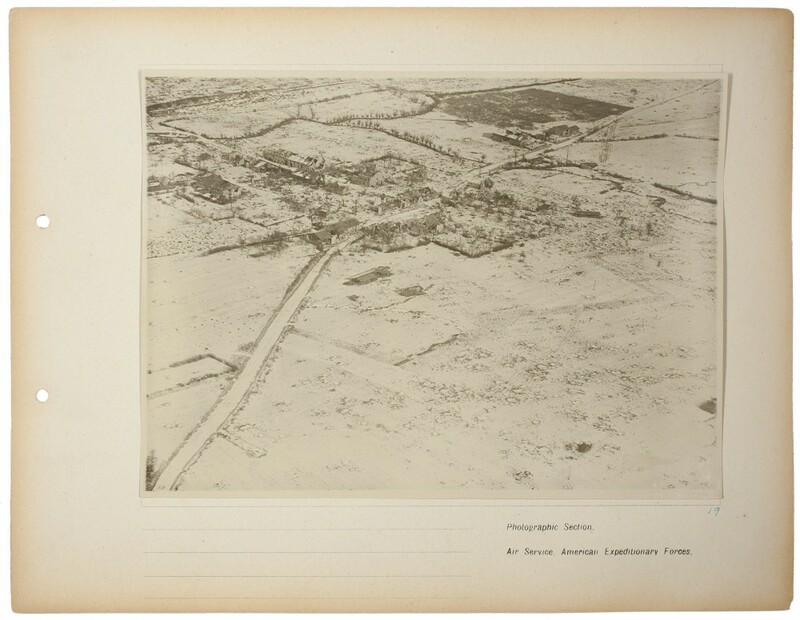 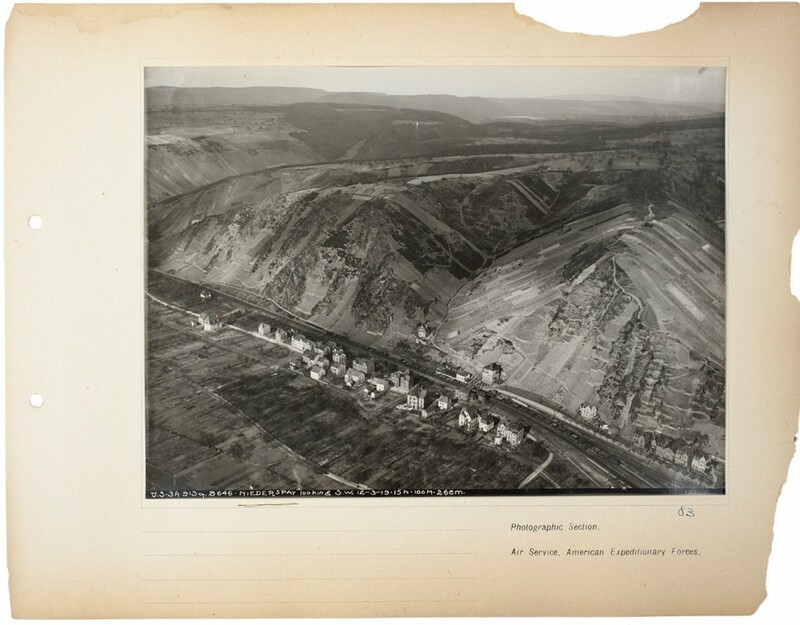 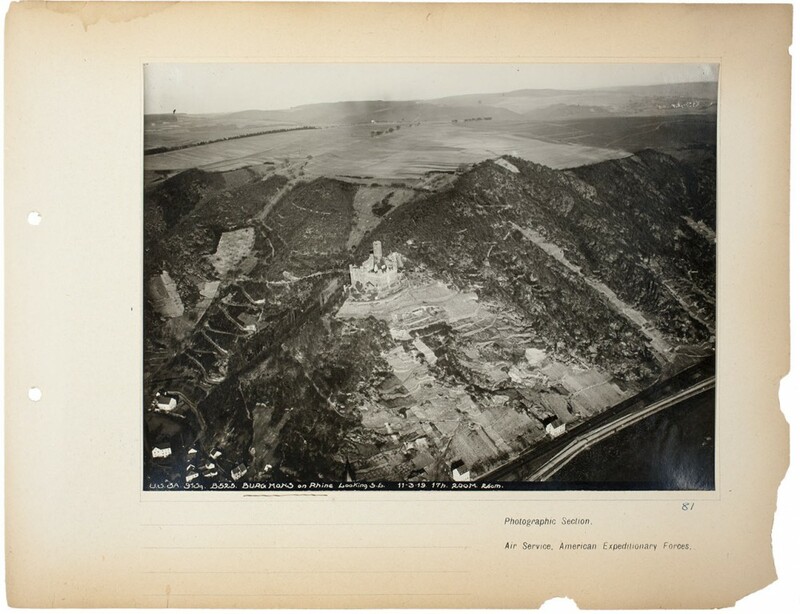 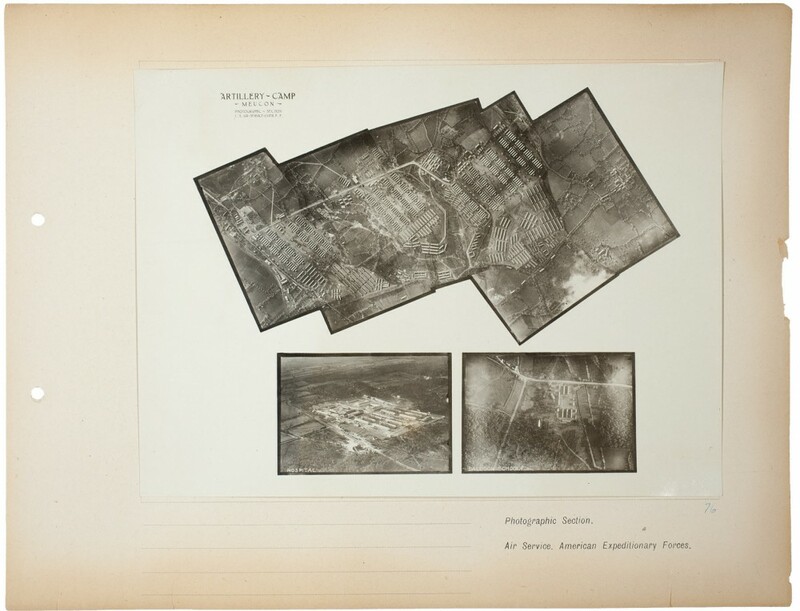 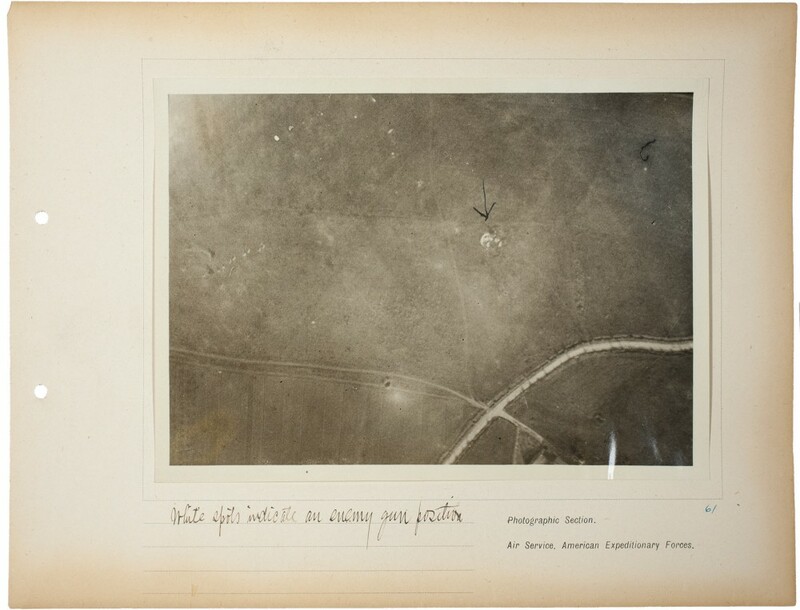 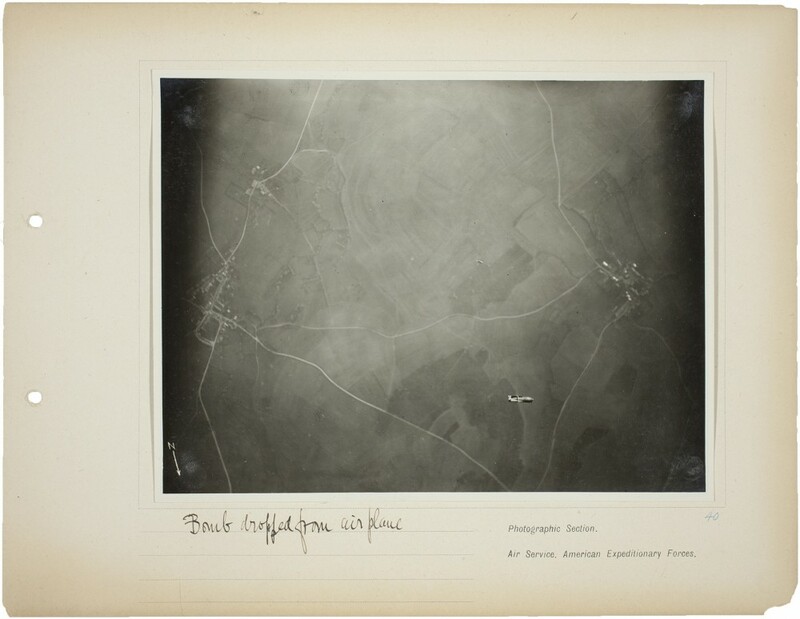 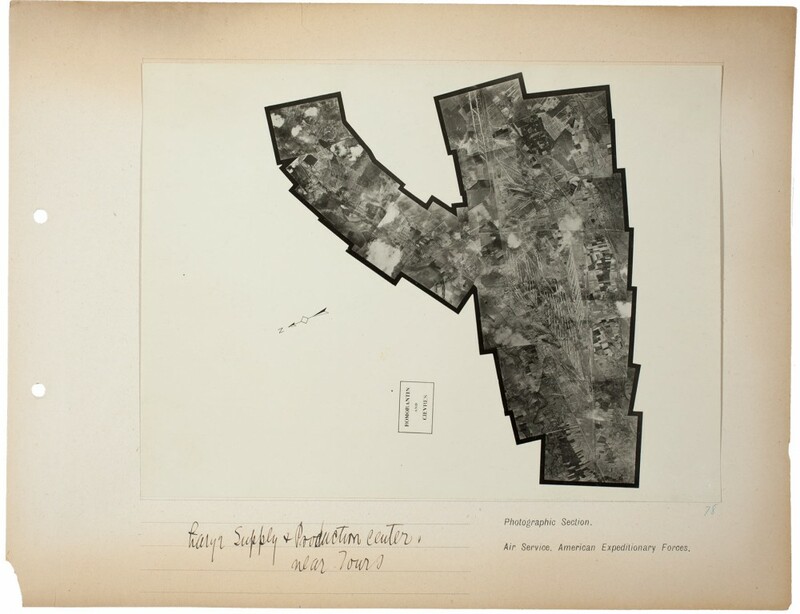 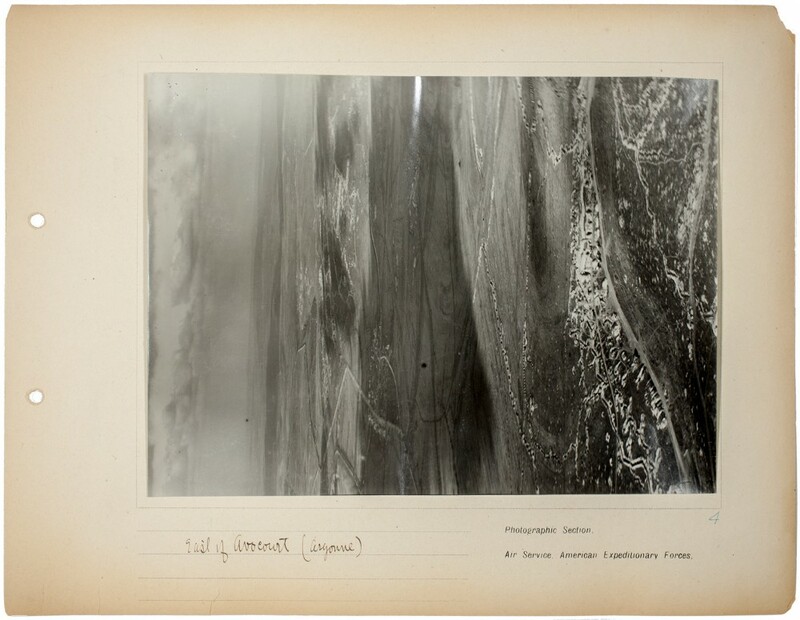 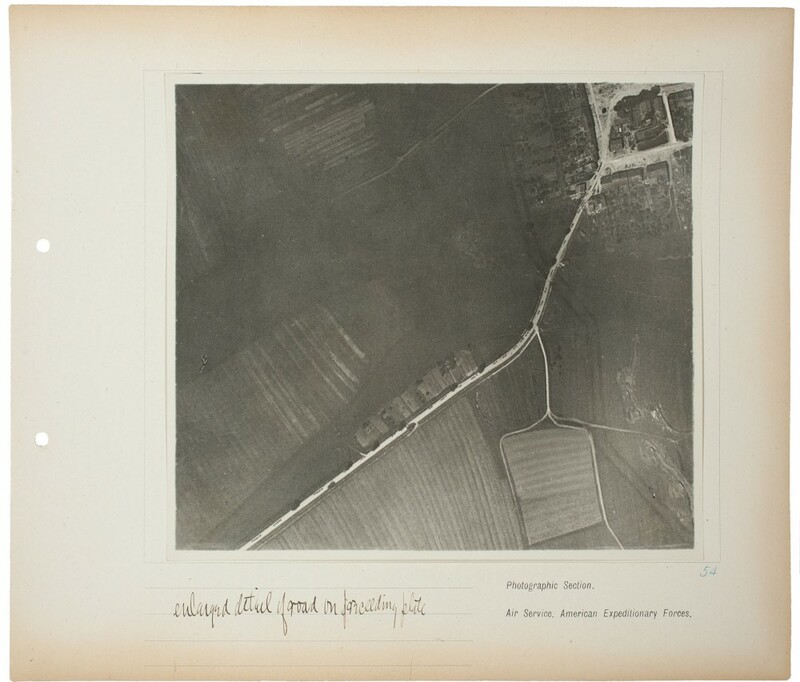 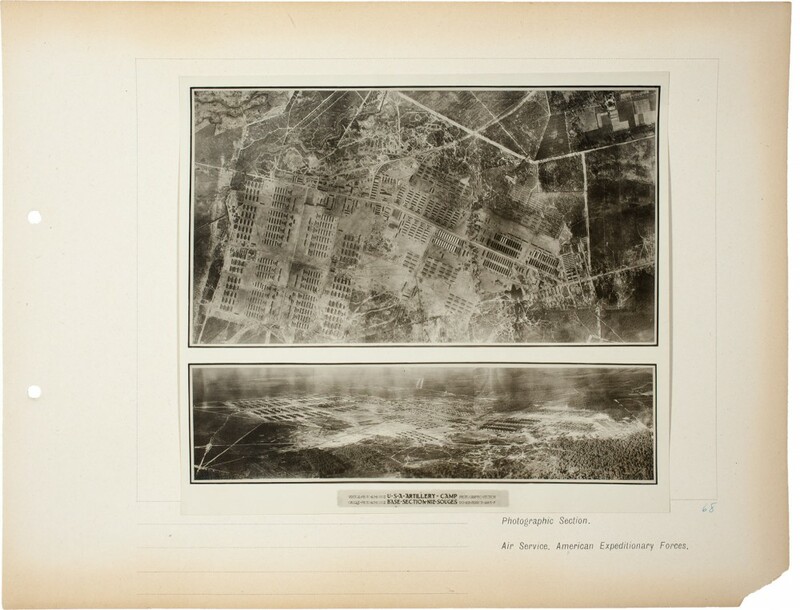 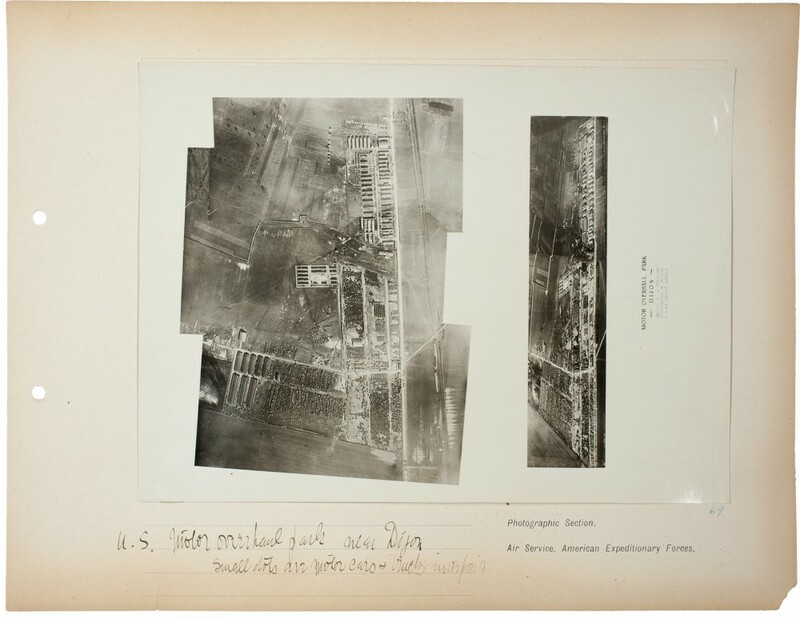 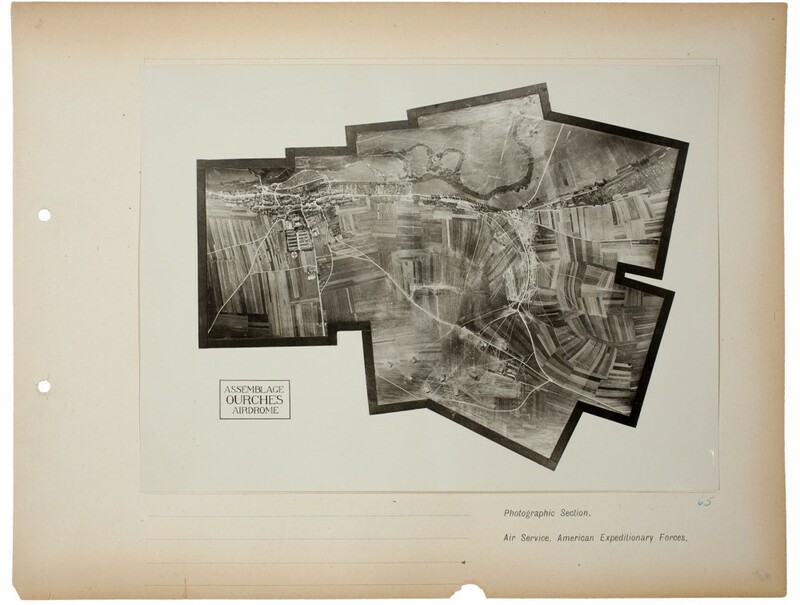 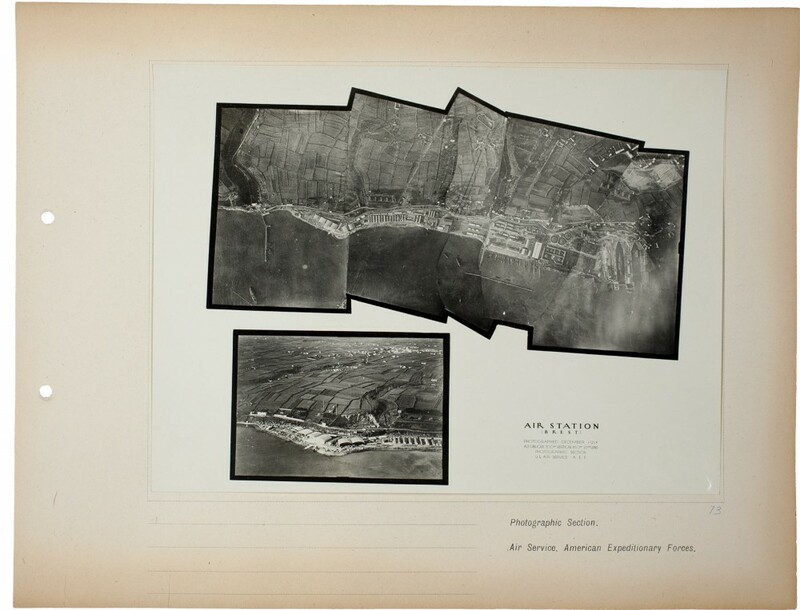 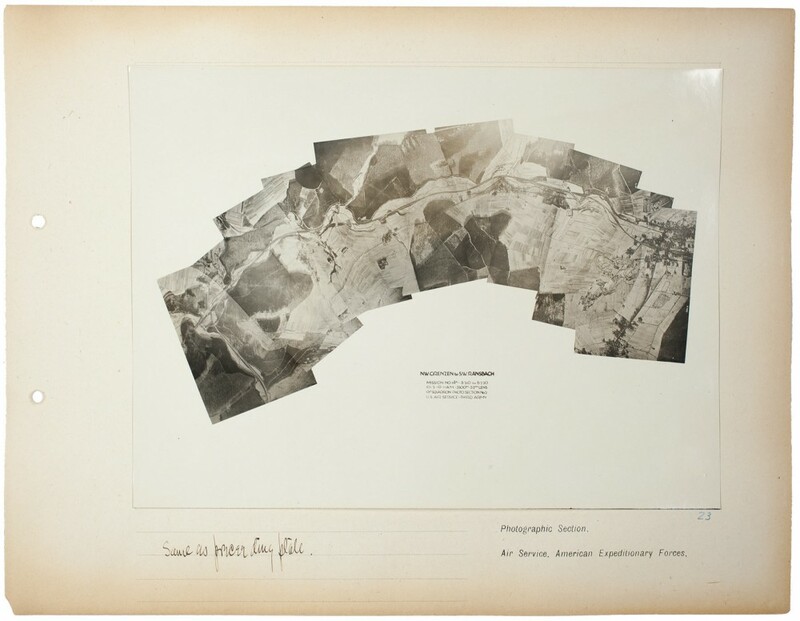 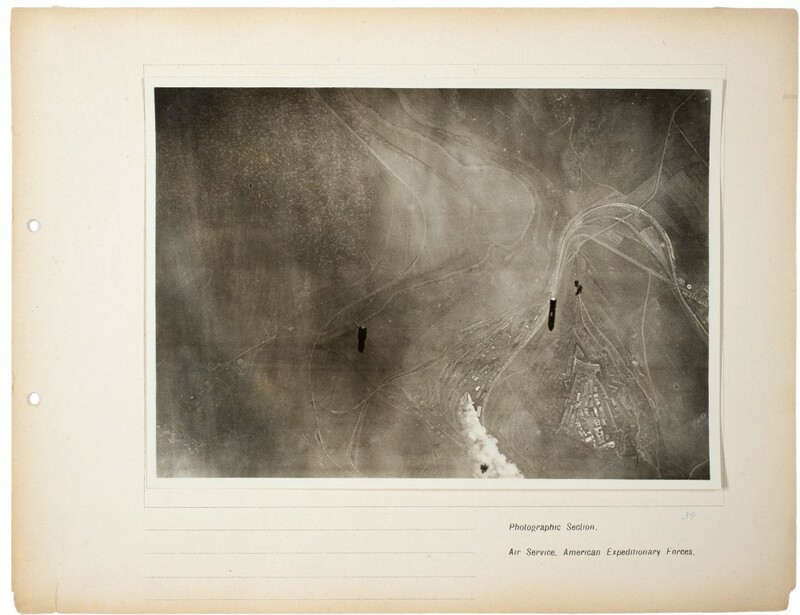 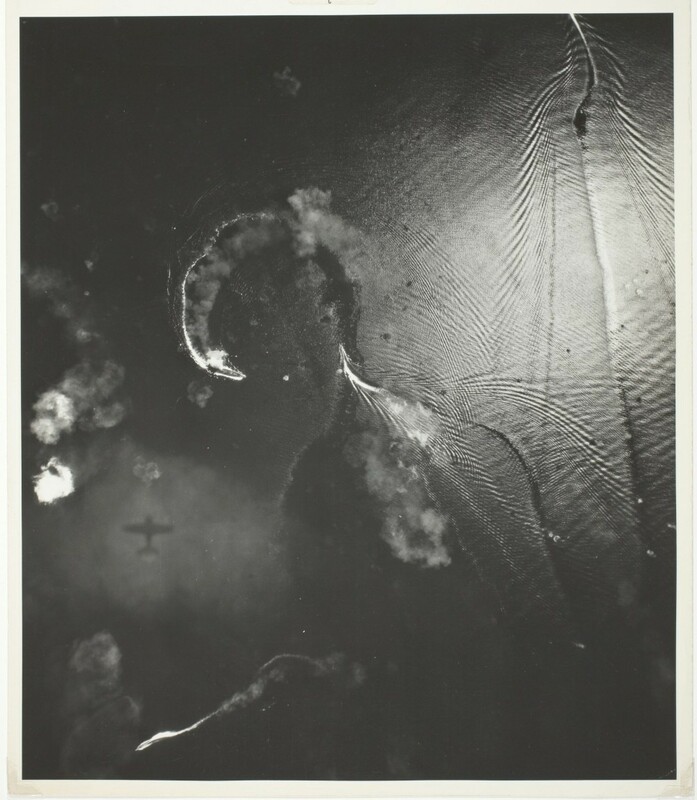 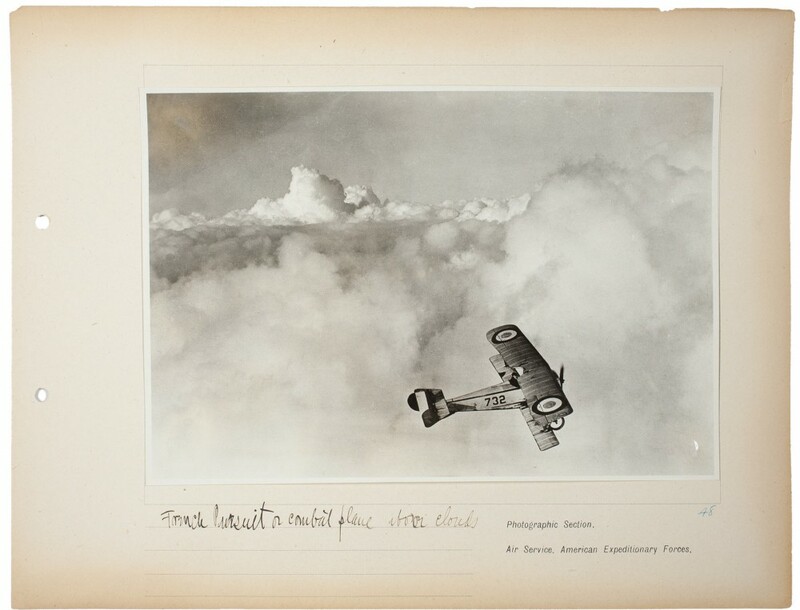 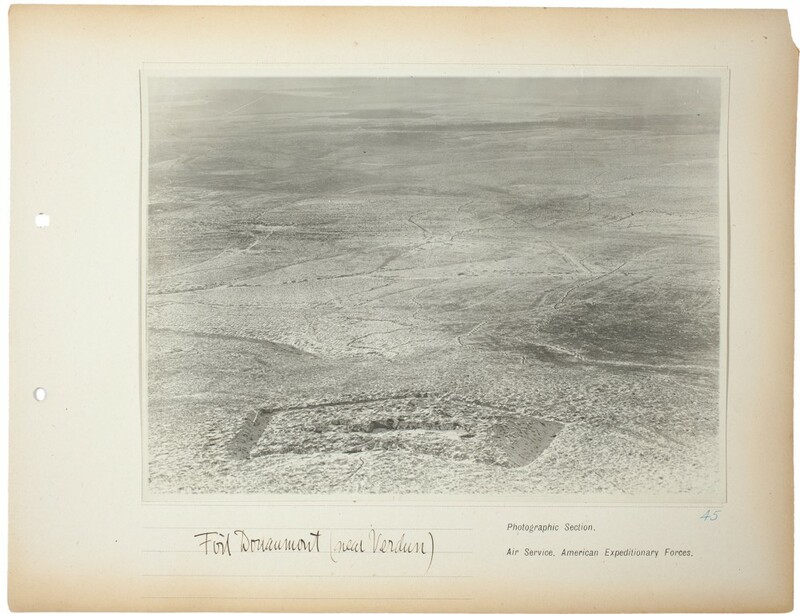 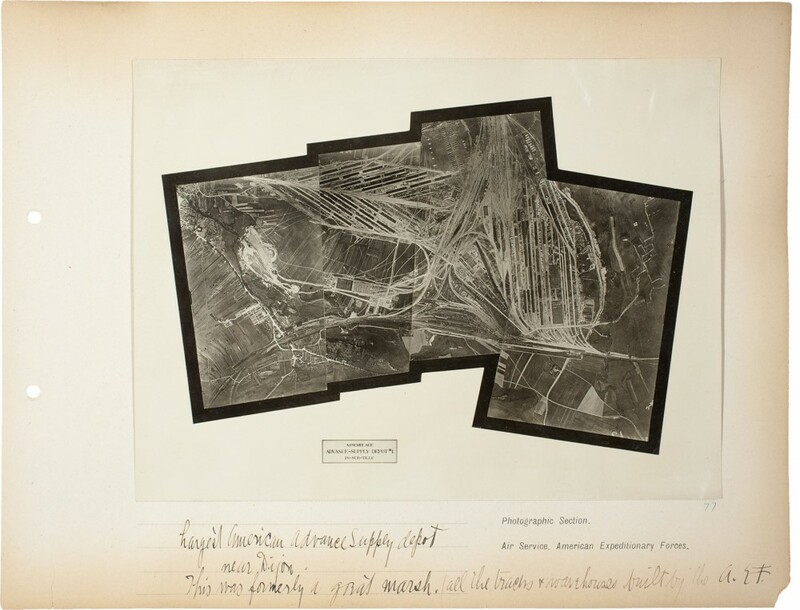 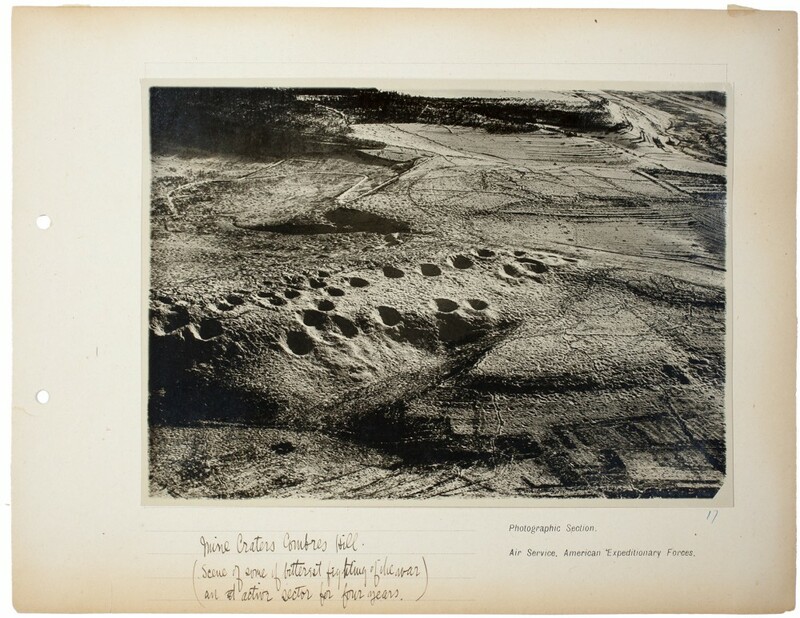 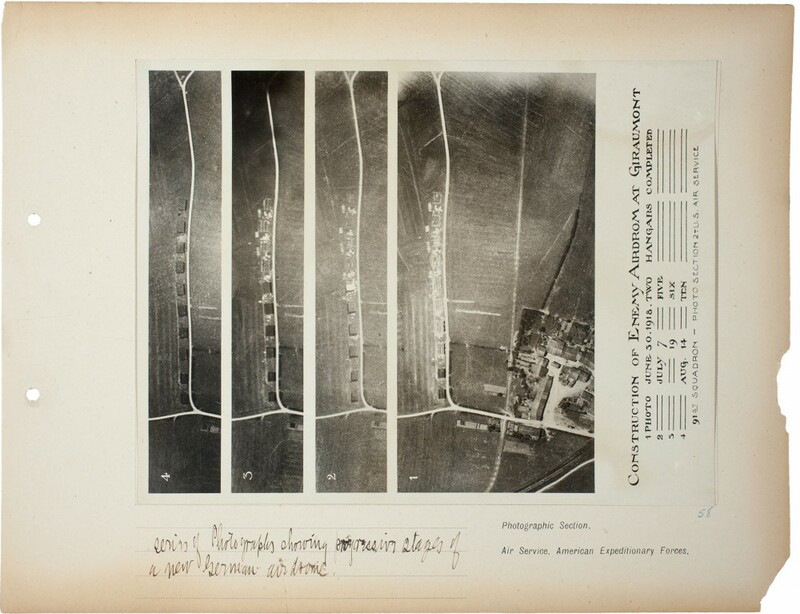 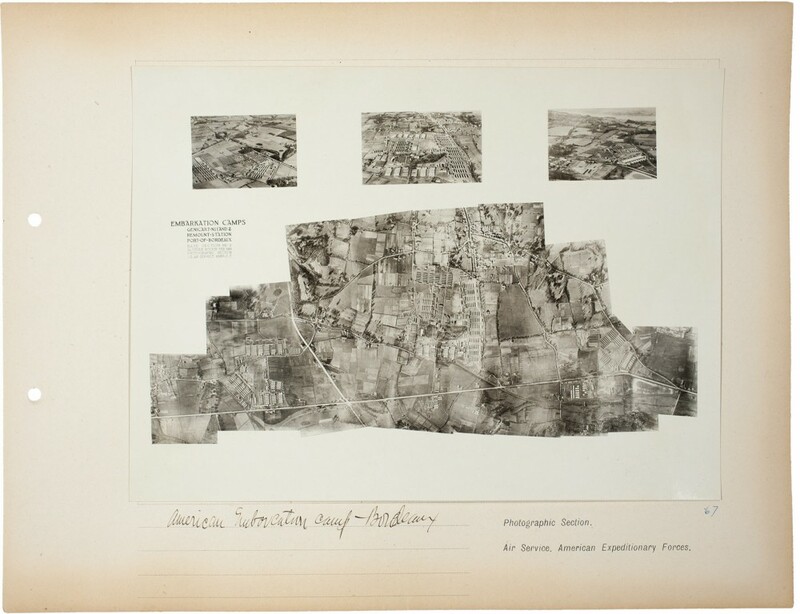 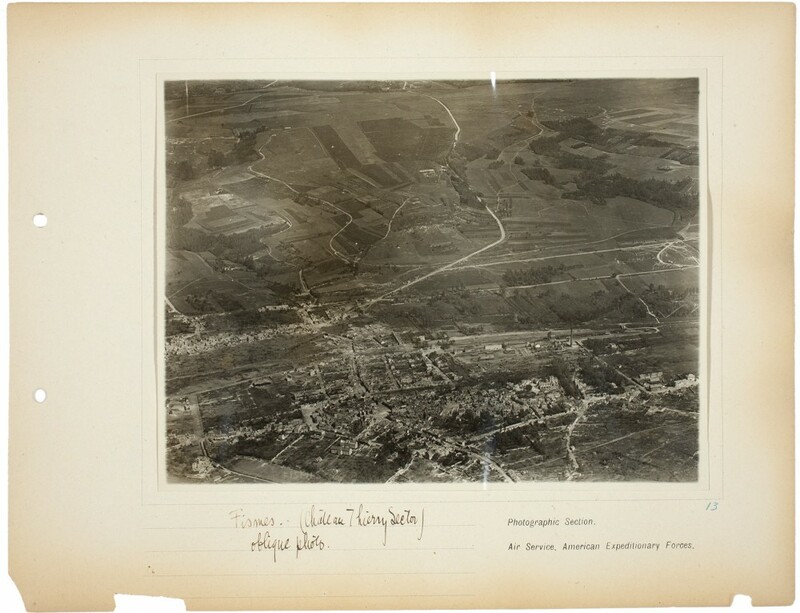 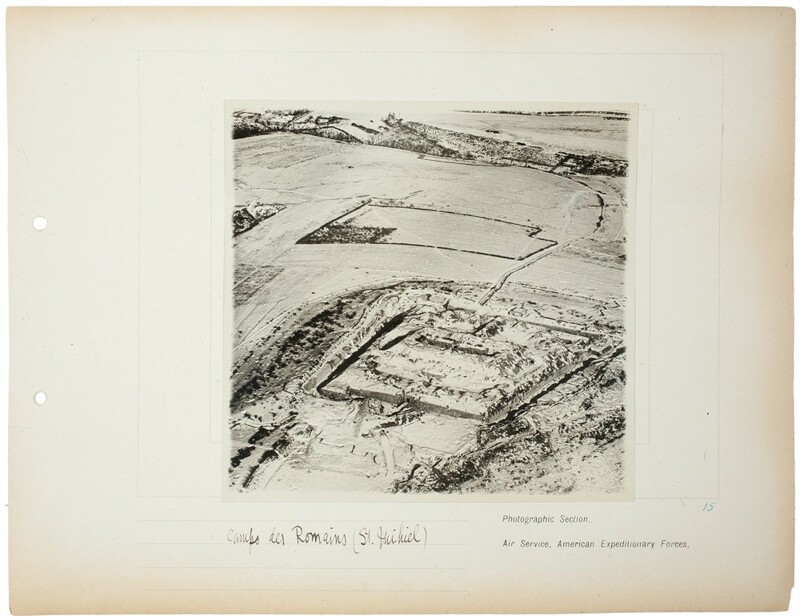 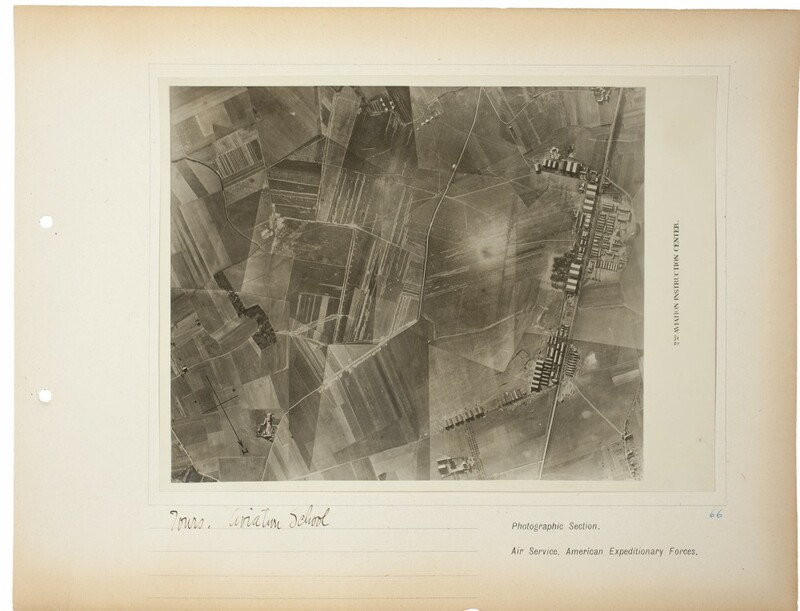 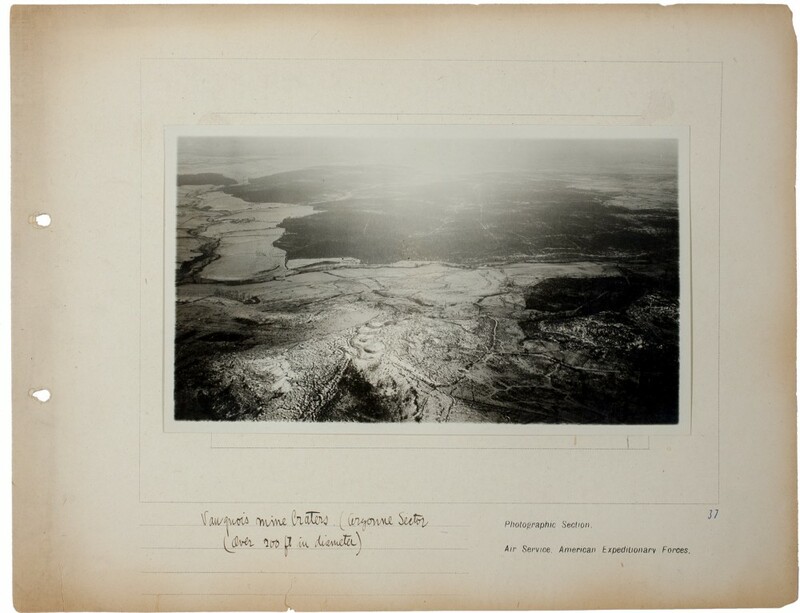 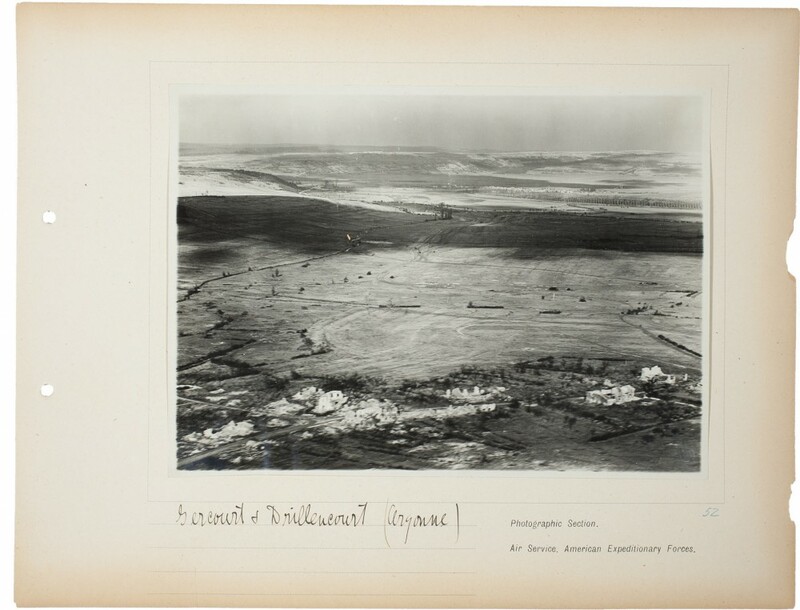 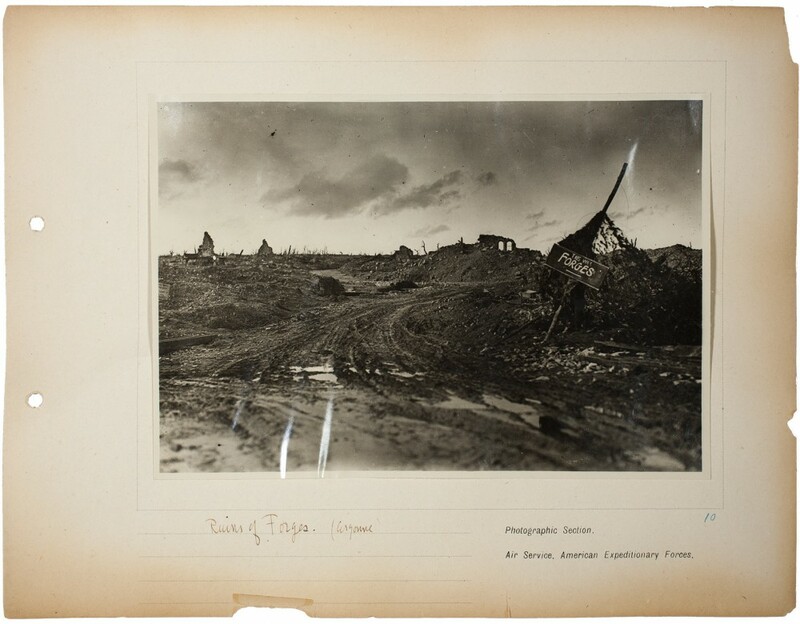 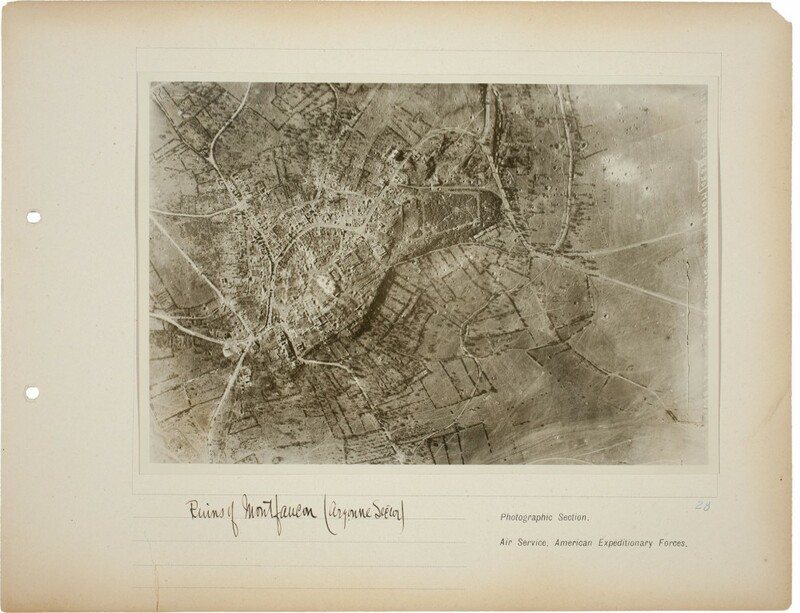 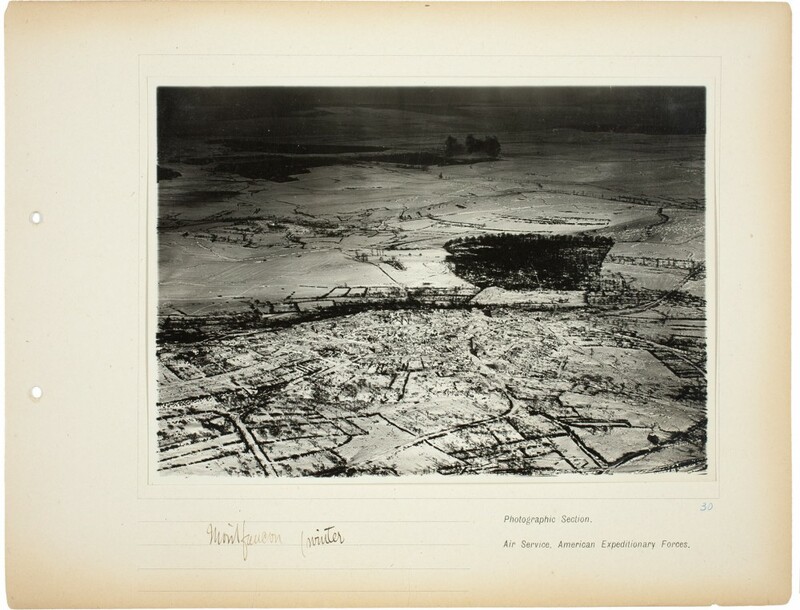 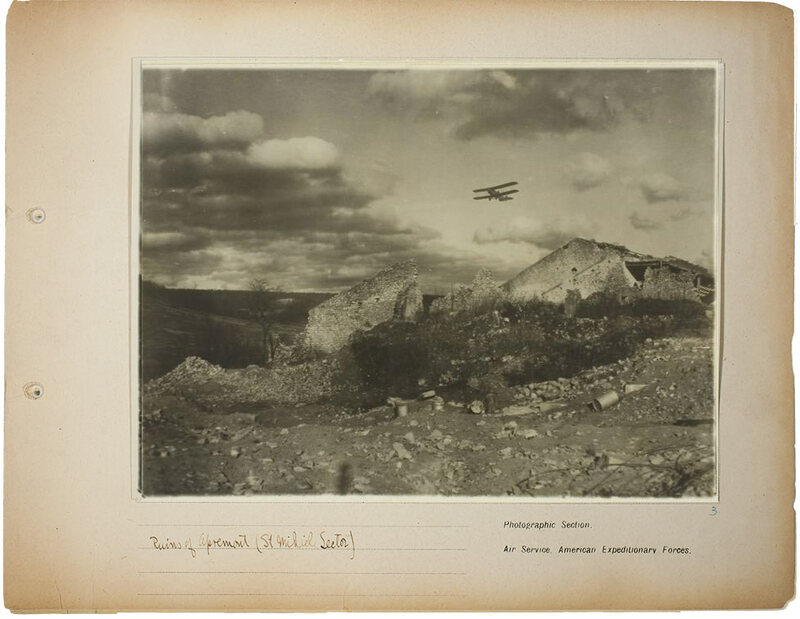 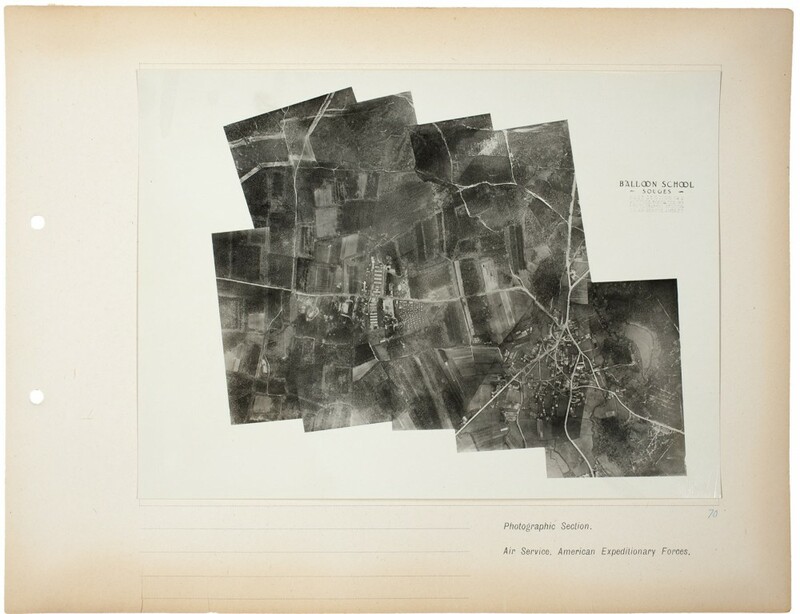 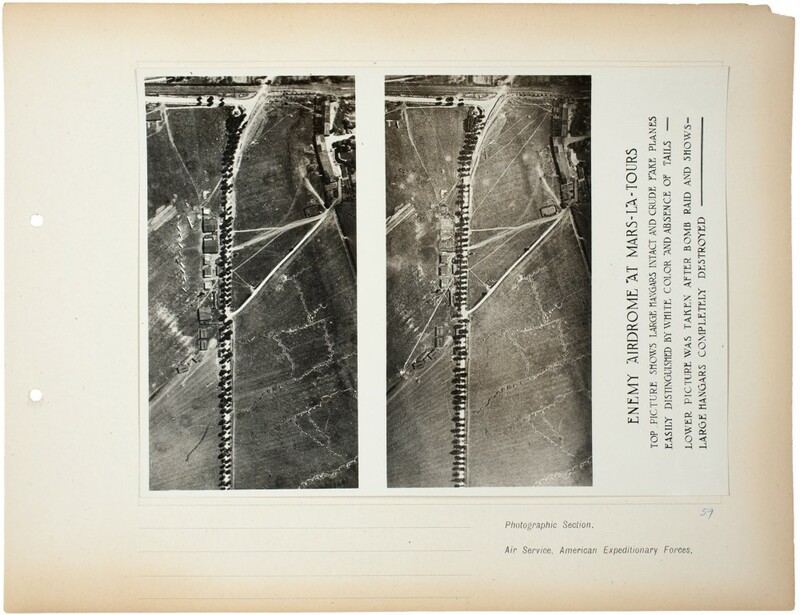 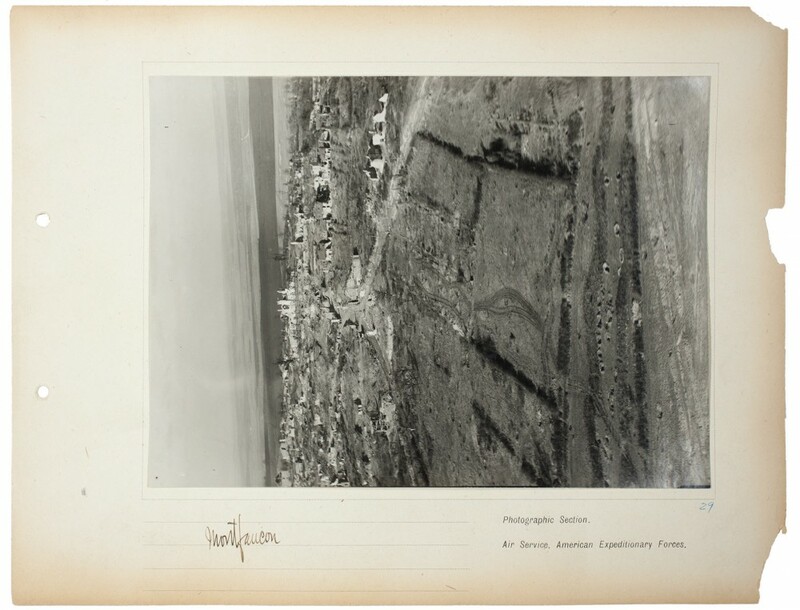 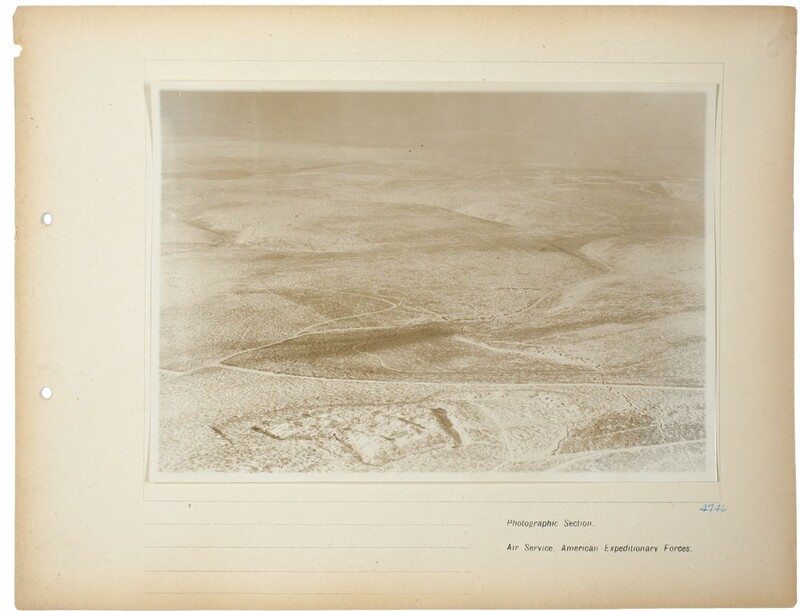 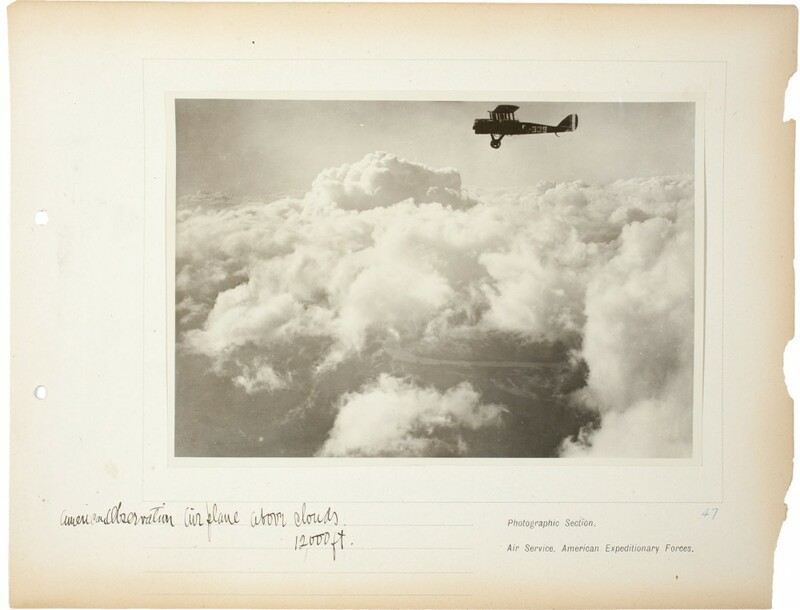 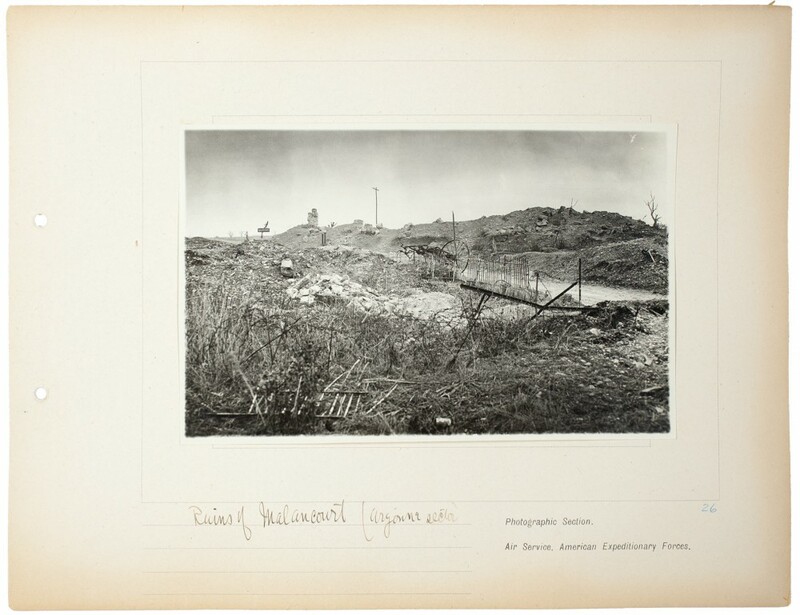 Photographic Section, Air Service, AEF. 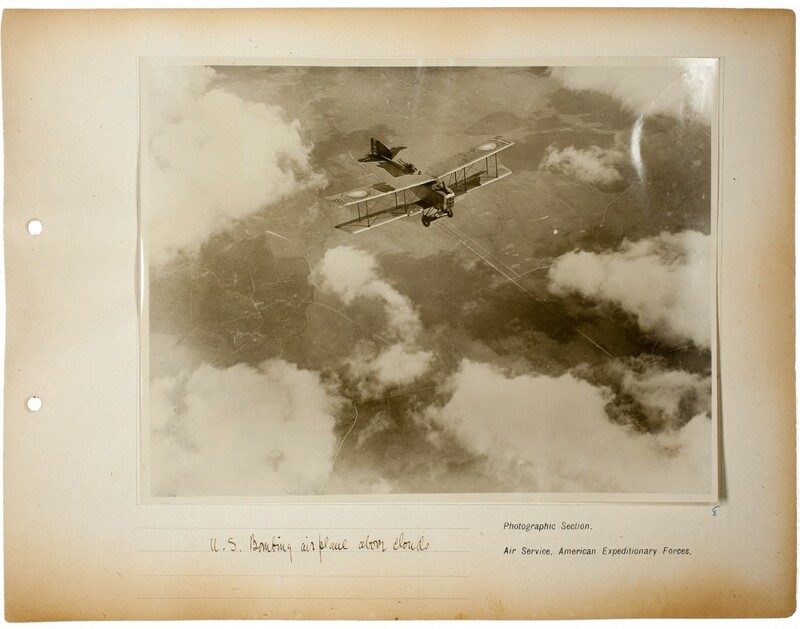 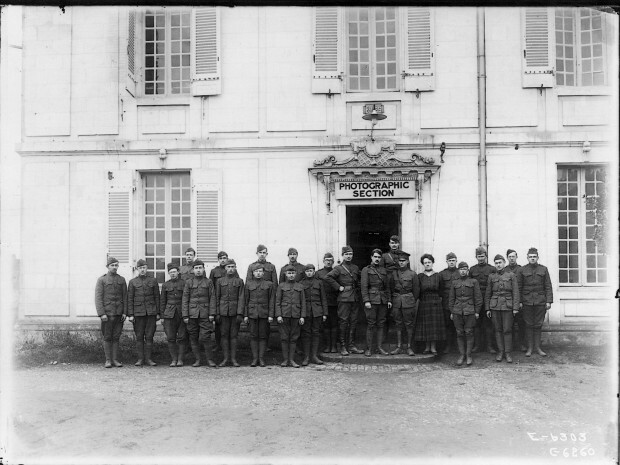 Major Steichen and Base Photo Section at Headquarters, Air Service, Paris, France, c. 1918. 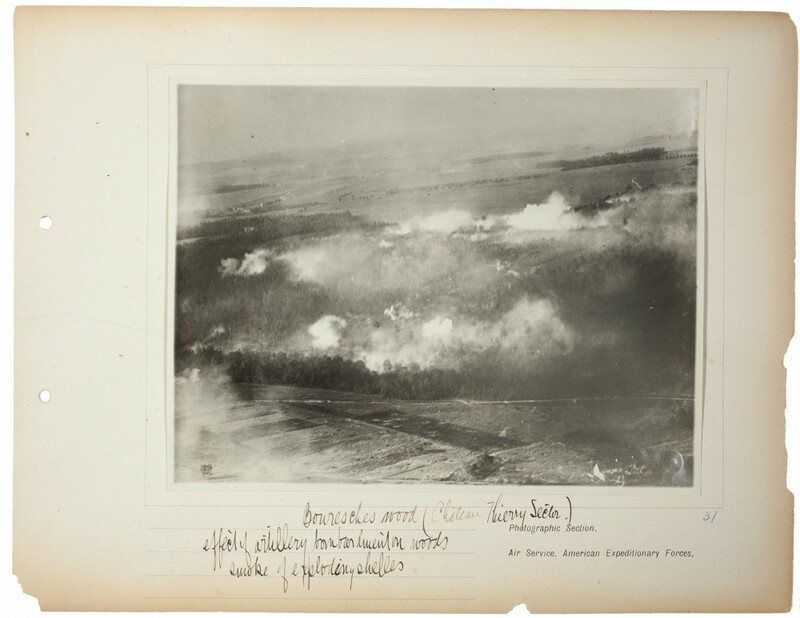 Photo courtesy of the National Archives and Records Administration. 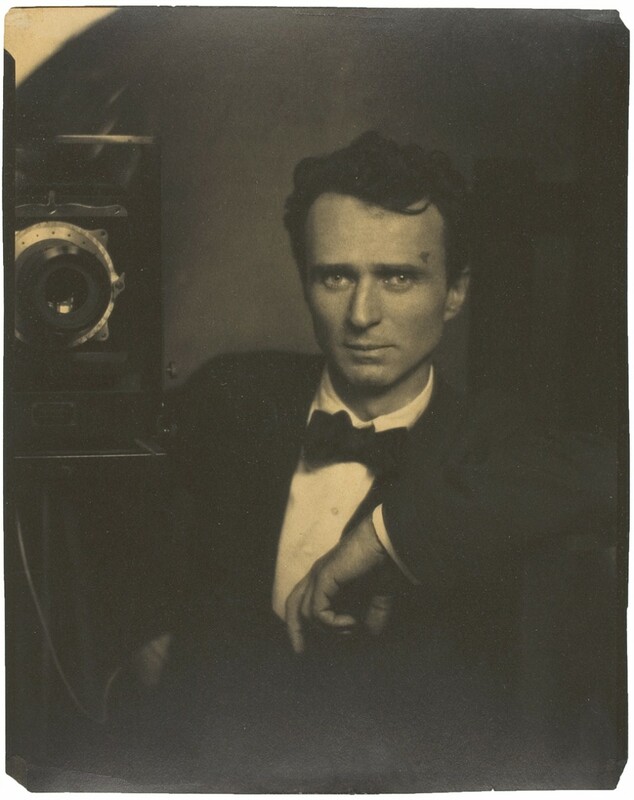 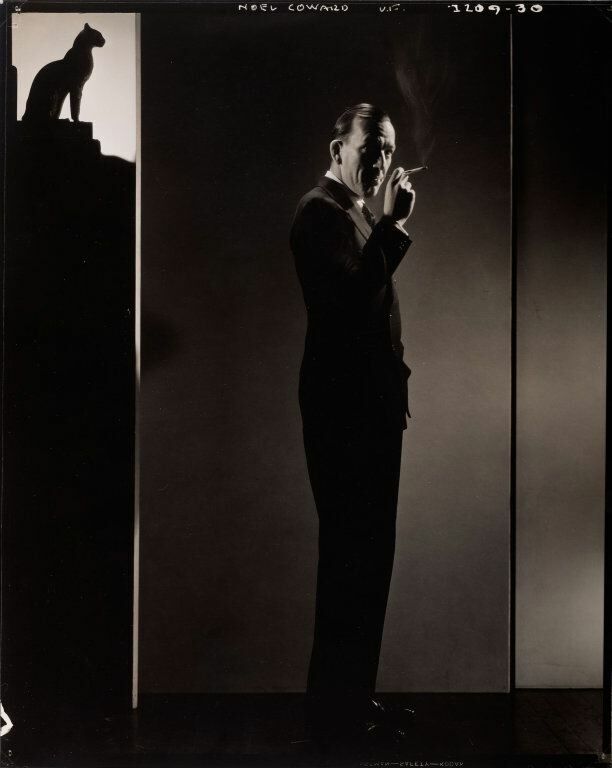 Edward Steichen, A Life in Photography (Doubleday, 1963), chap. 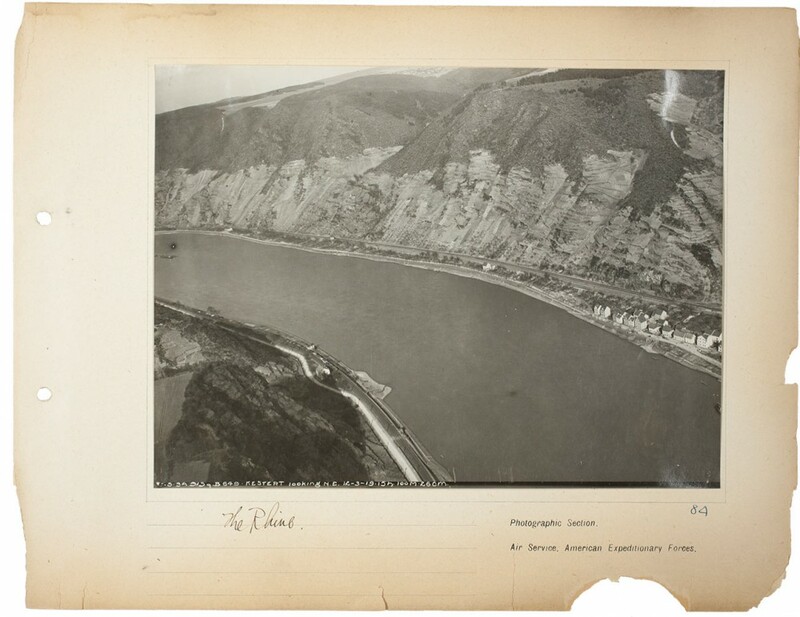 5, n.p. 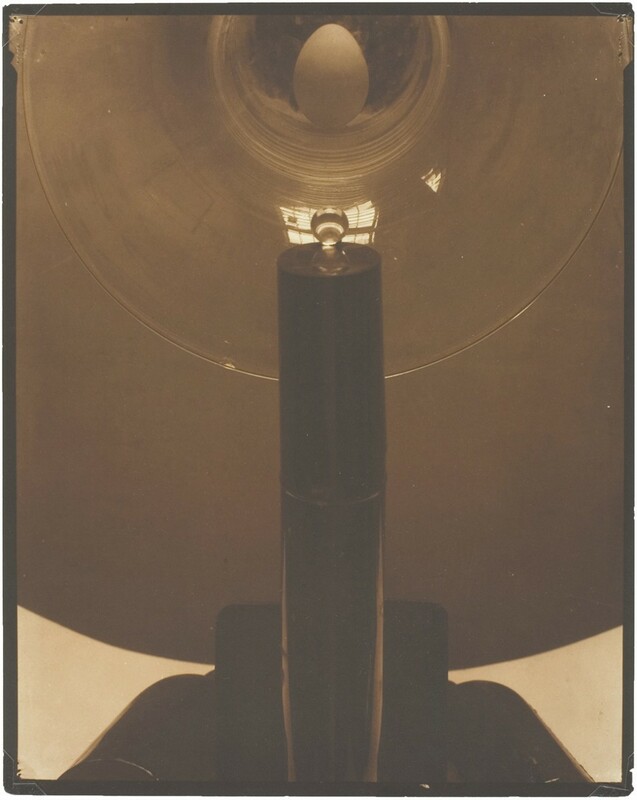 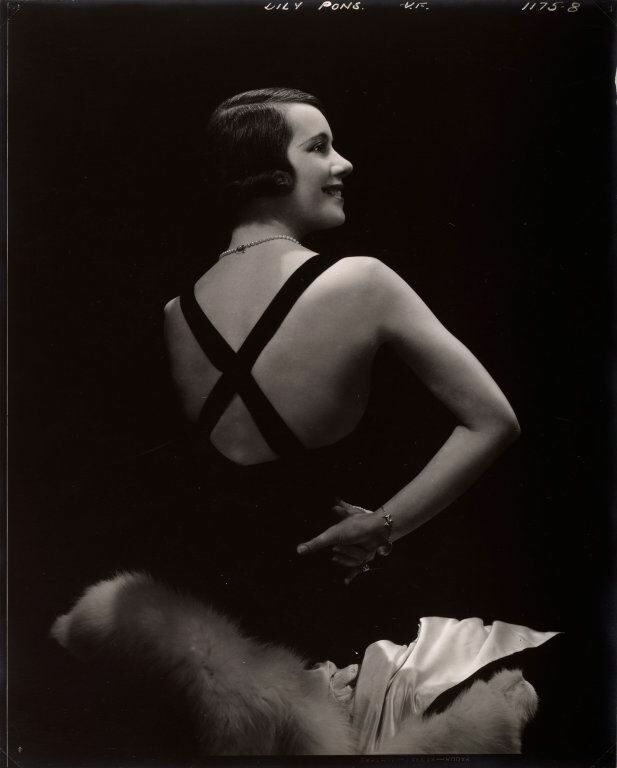 Plate titles are based on Steichen’s own written captions of the photographs. 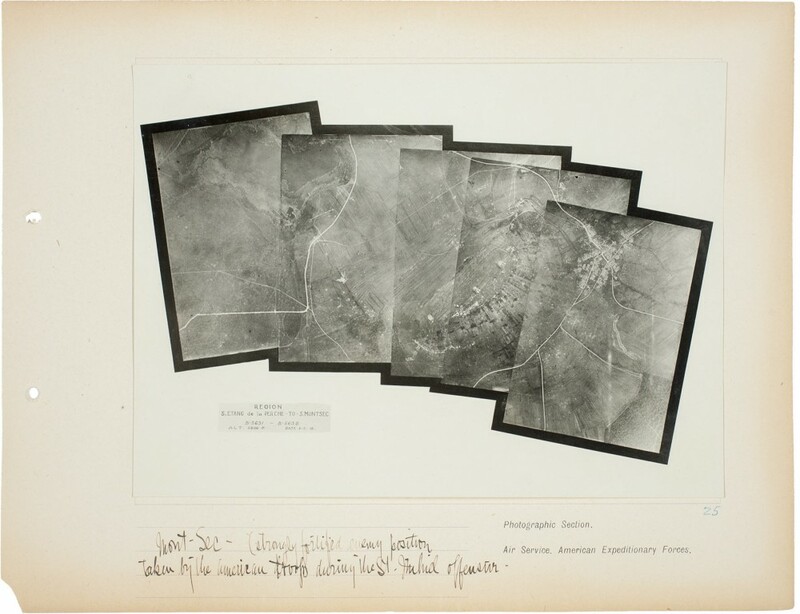 More detailed inscription information and research on the photographs can be found by clicking on the album pages. 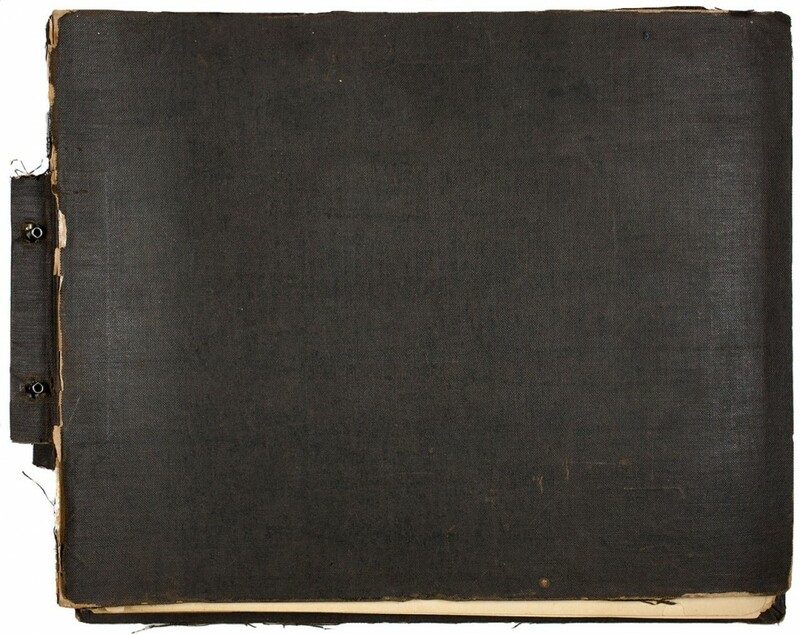 For a complete list of the album plates, click here. 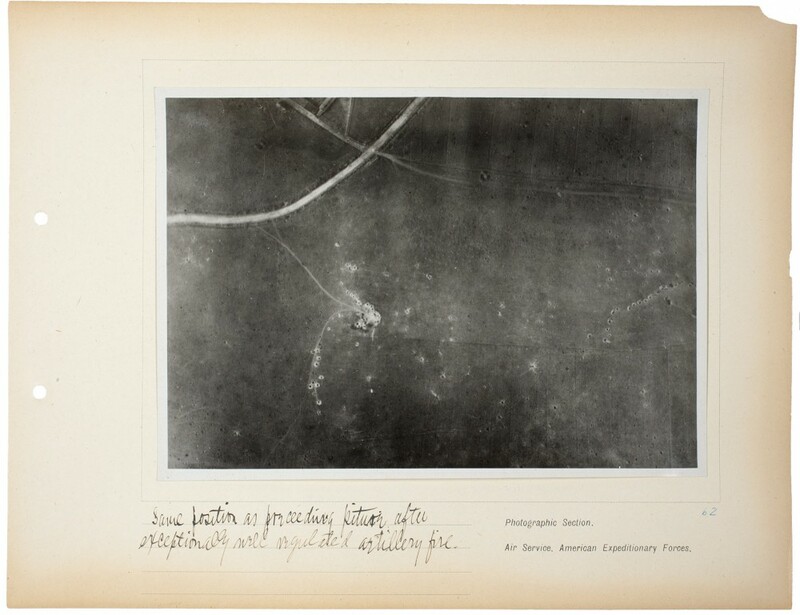 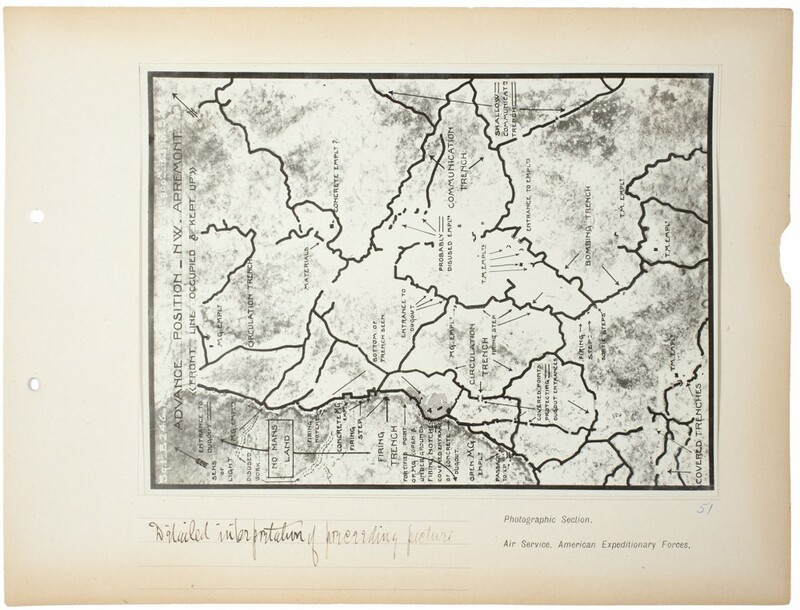 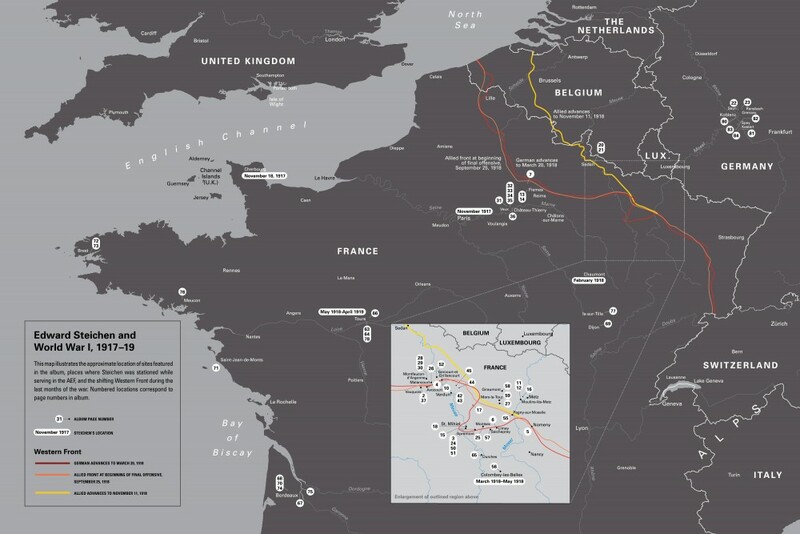 The map below shows the sites featured in the album, places Steichen was stationed while serving in the AEF, and the shifting Western Front during the last months of the war. 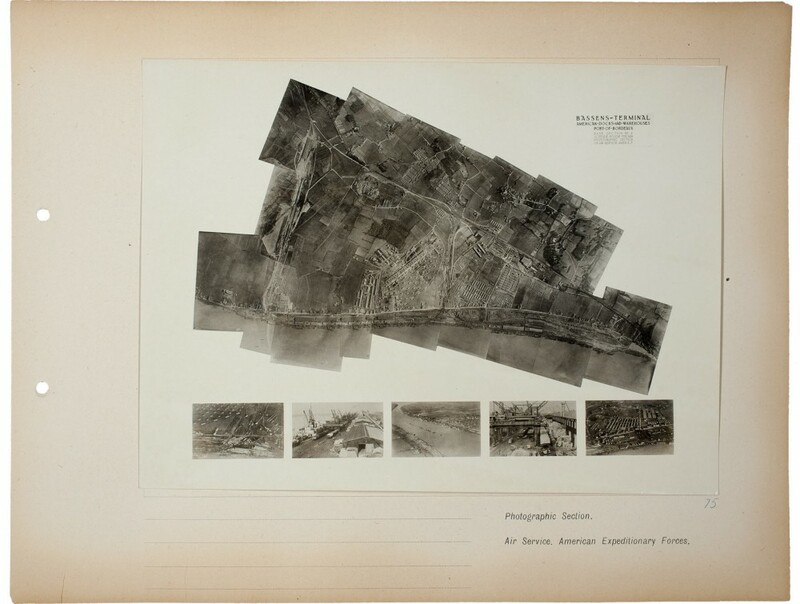 Plate 53. 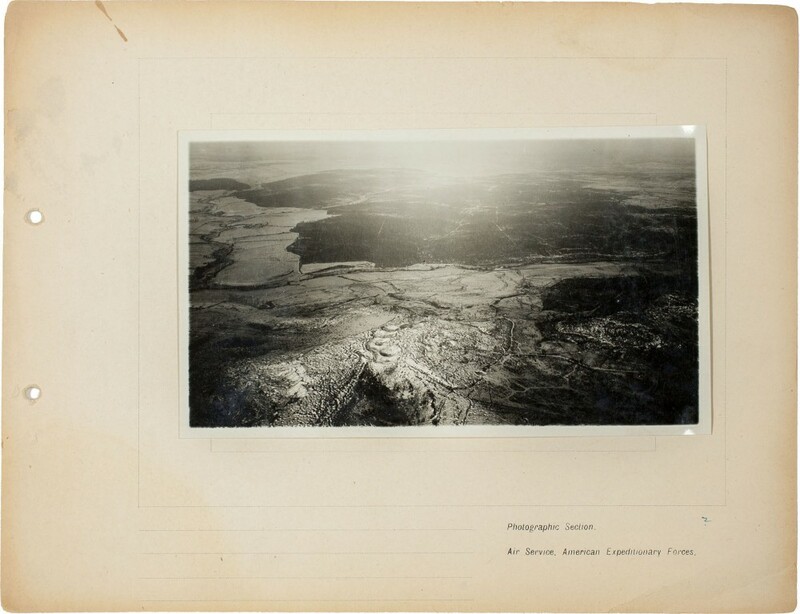 Photography from 20,000 ft.